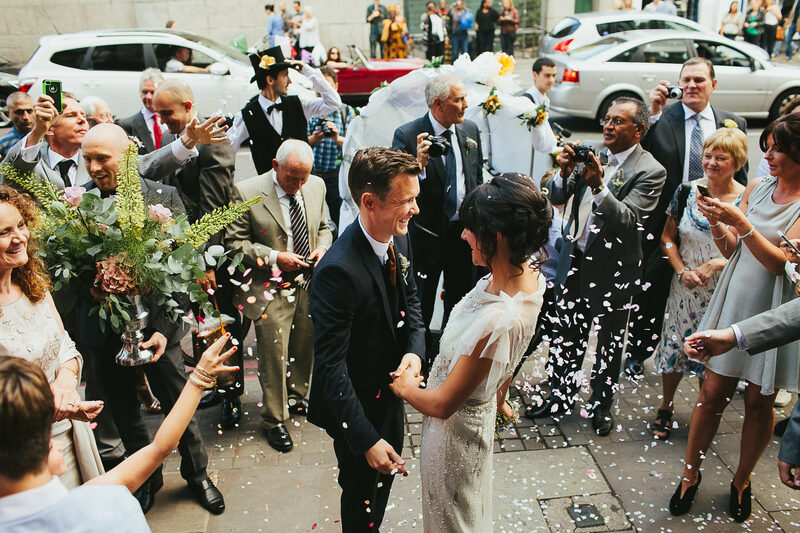 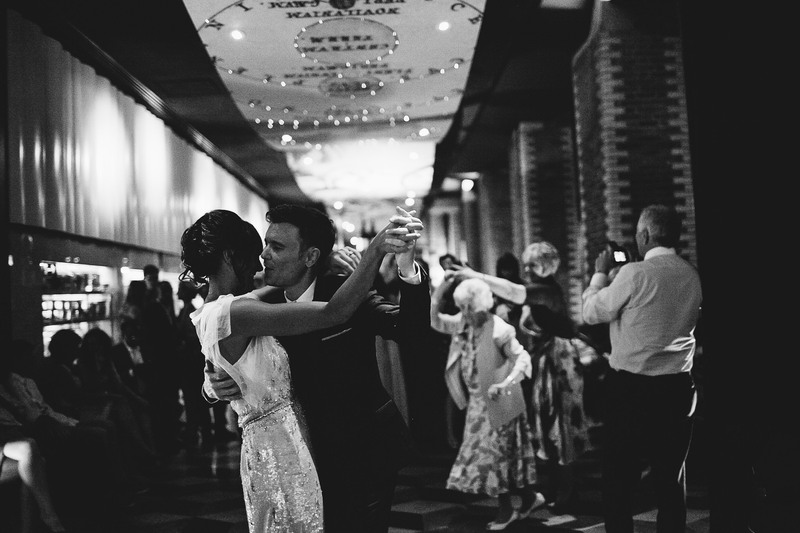 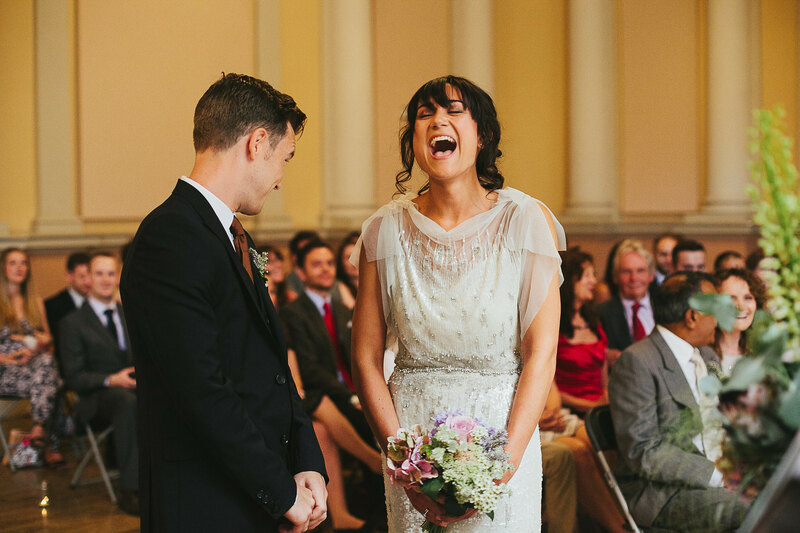 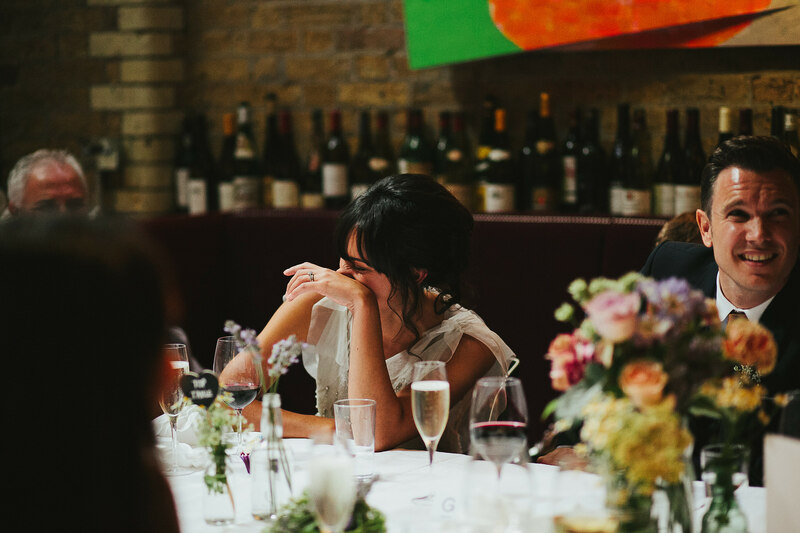 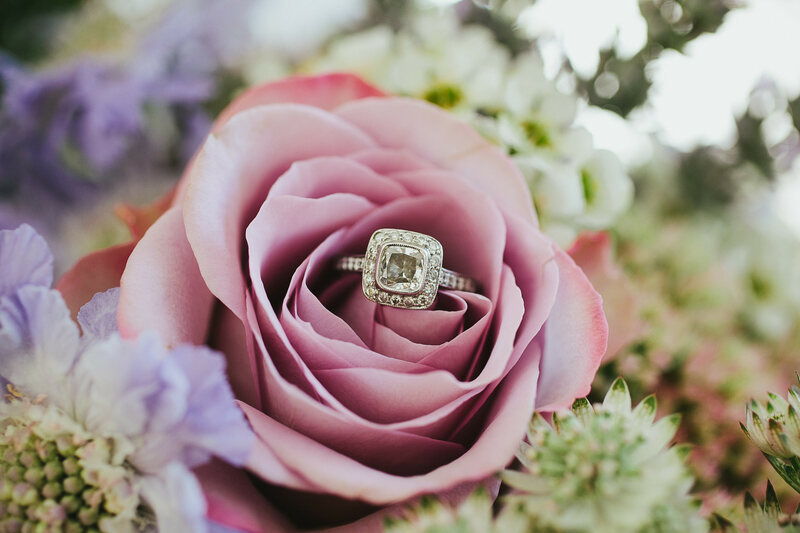 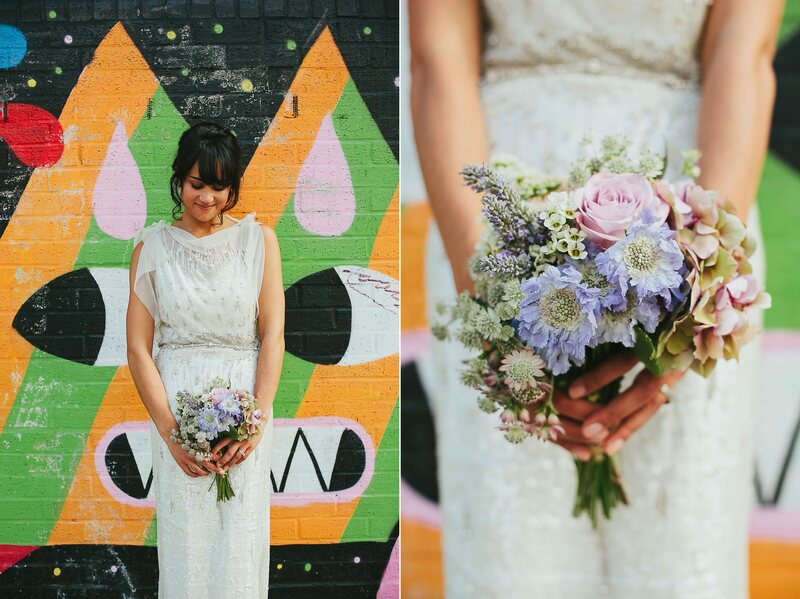 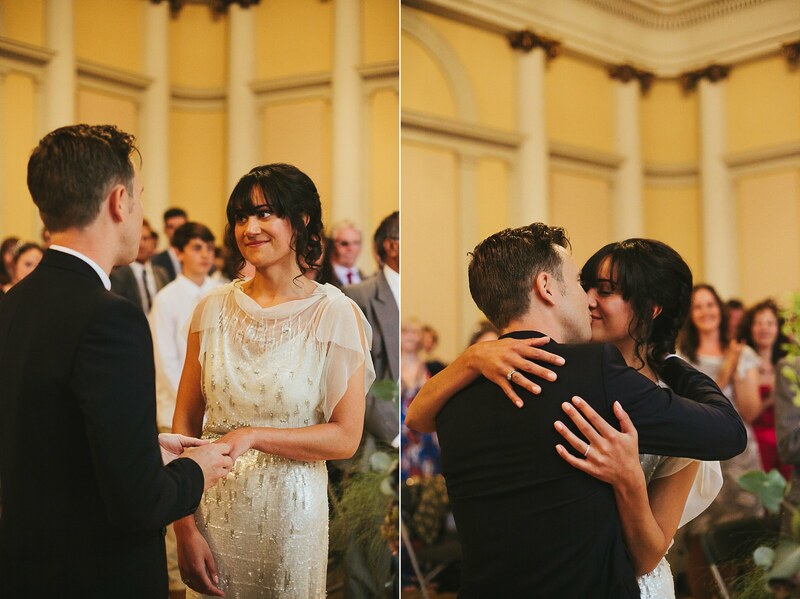 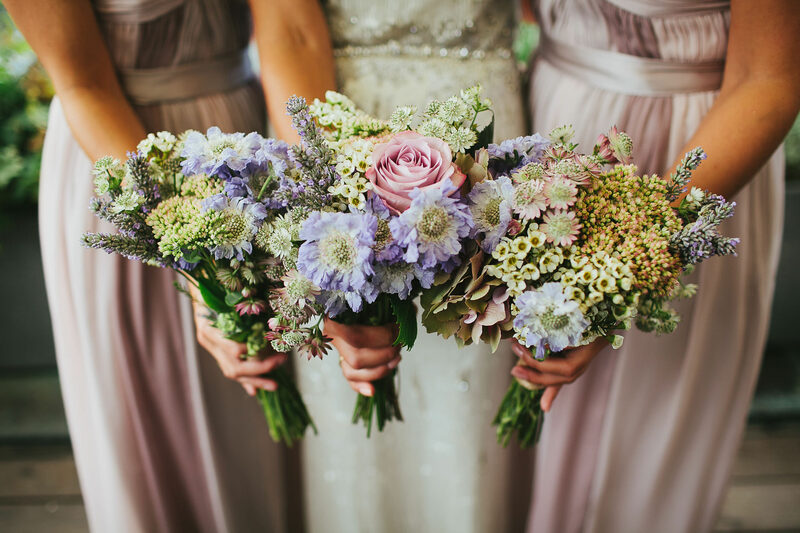 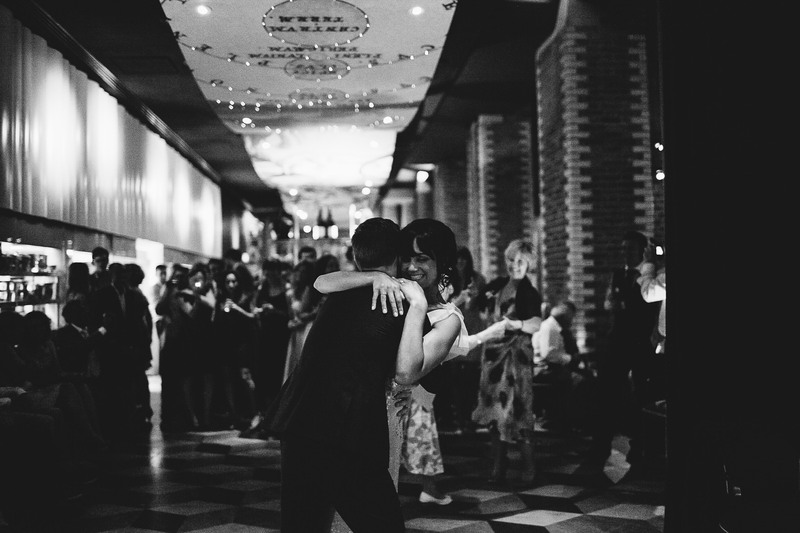 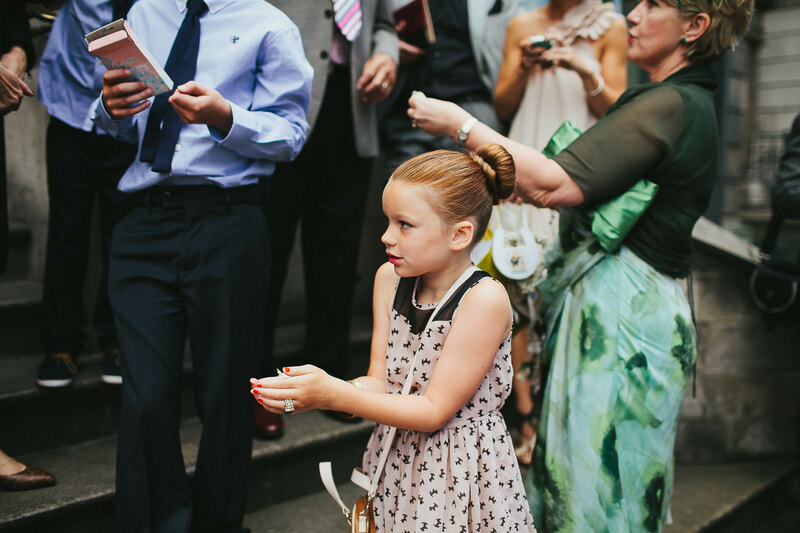 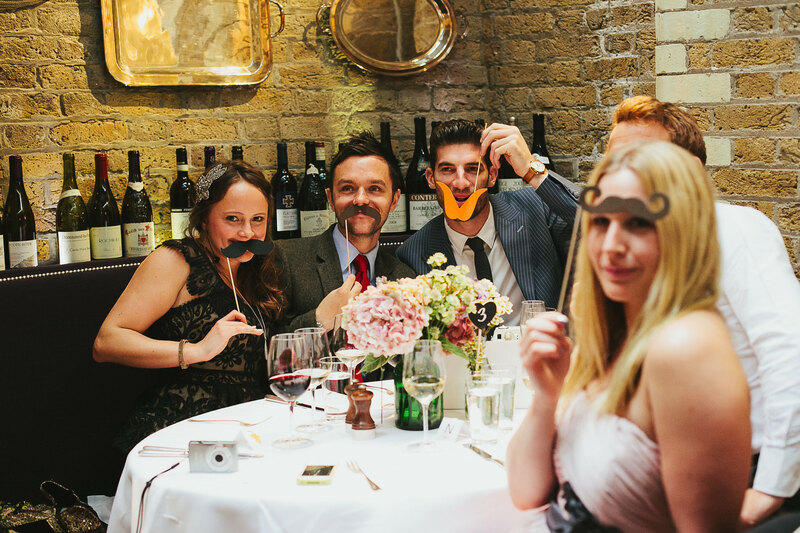 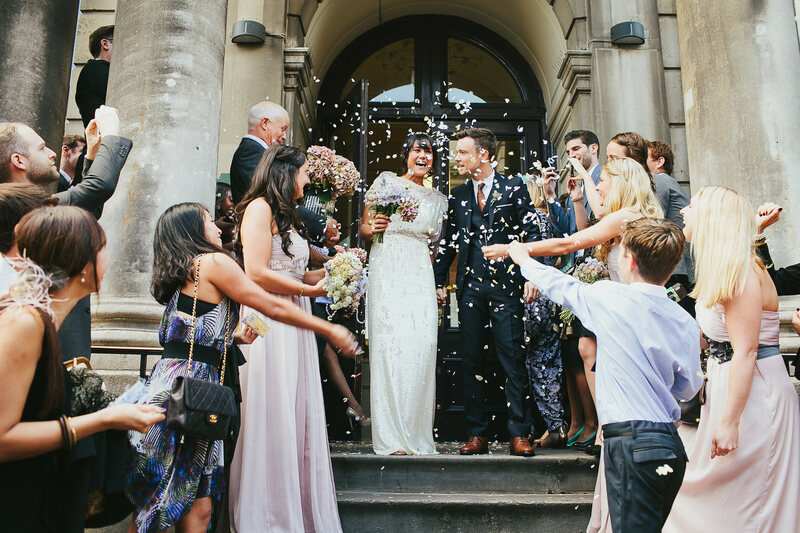 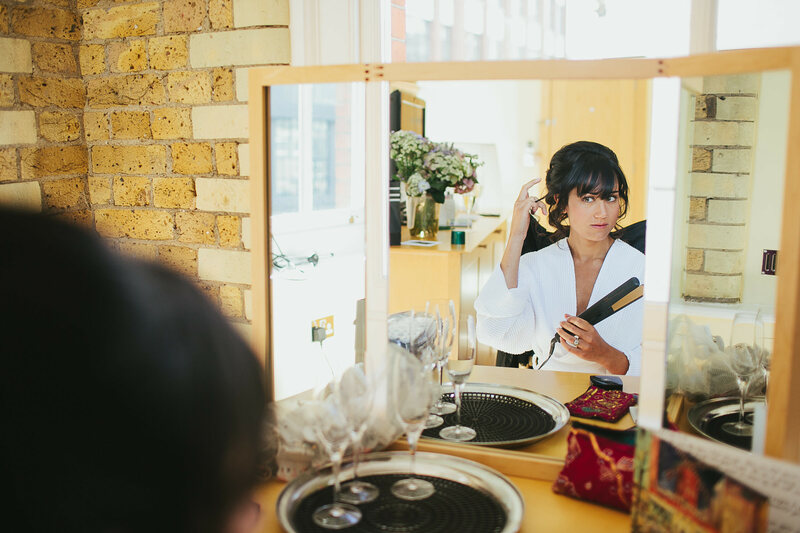 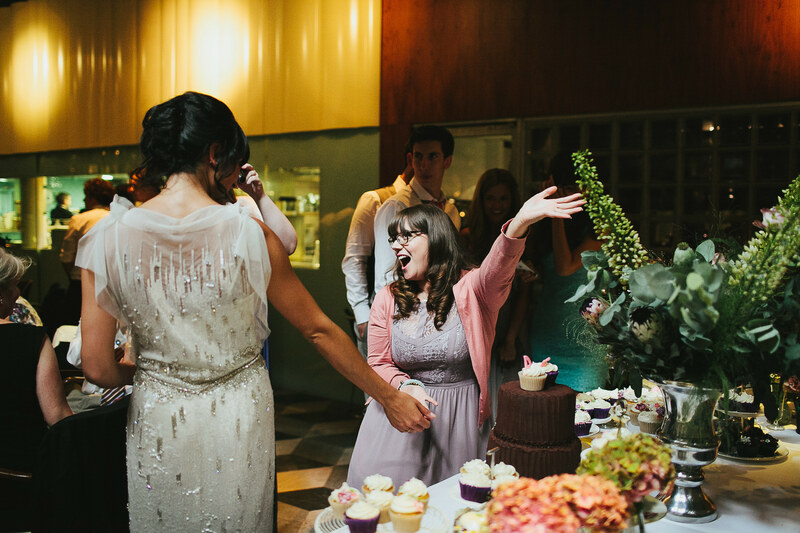 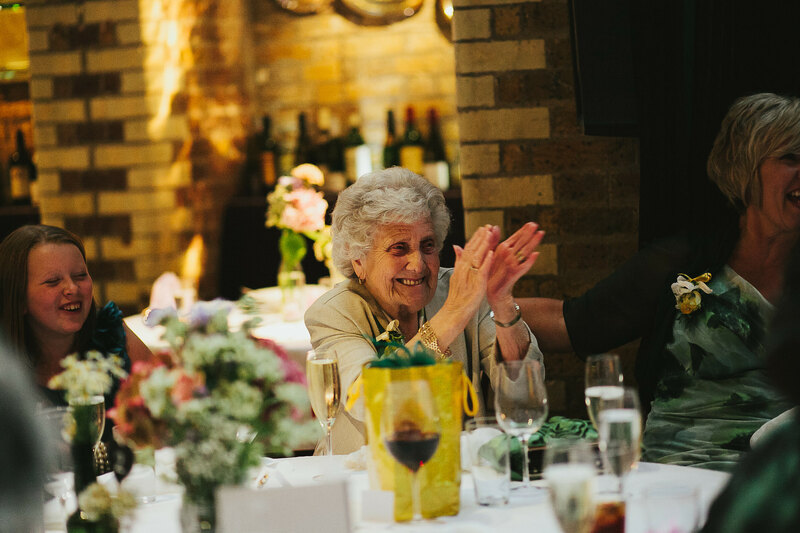 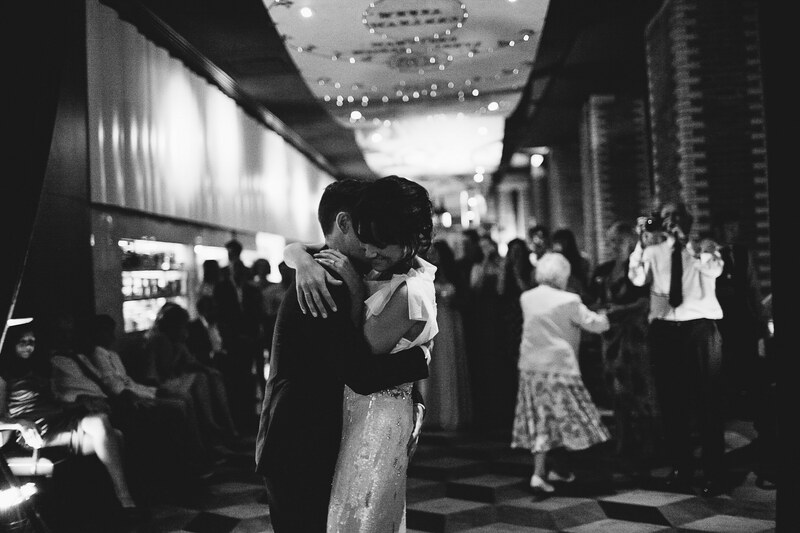 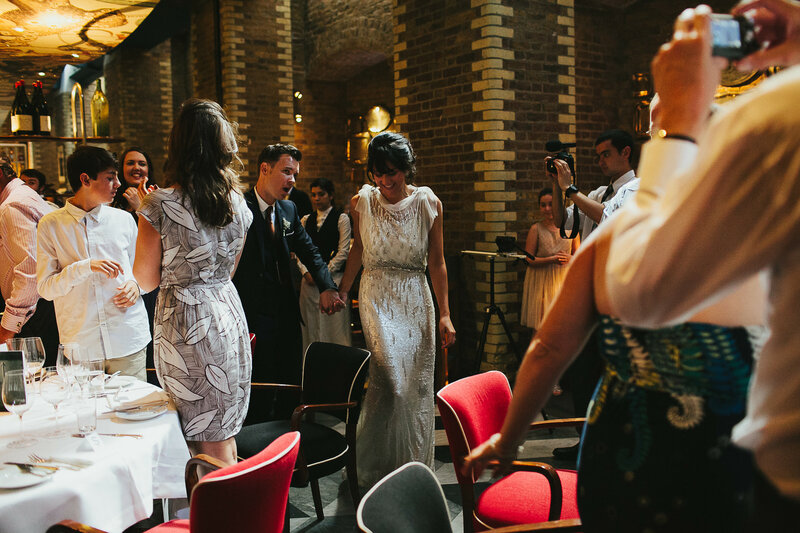 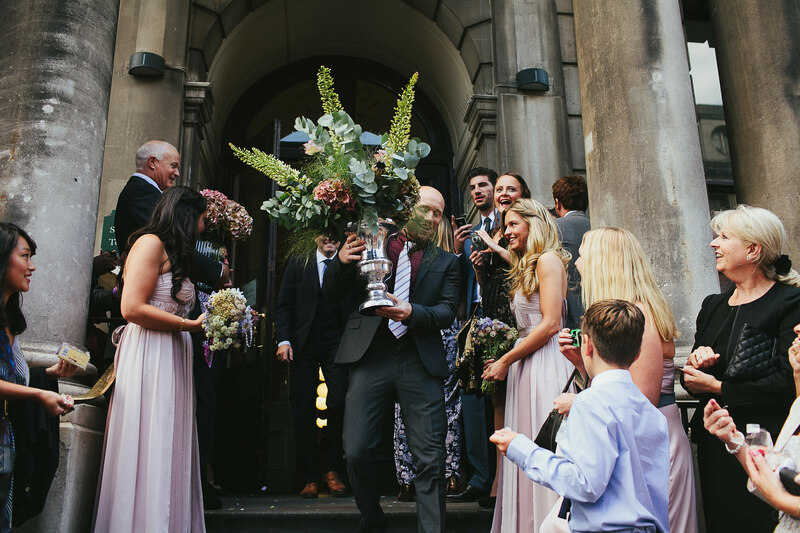 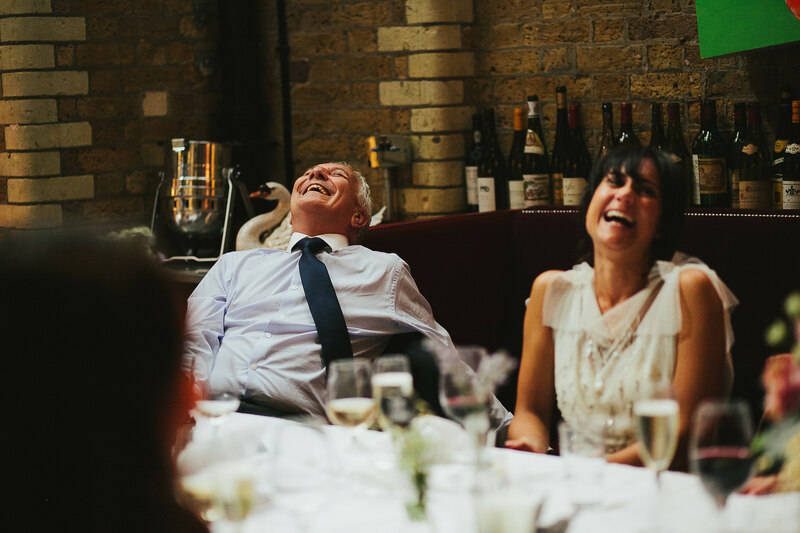 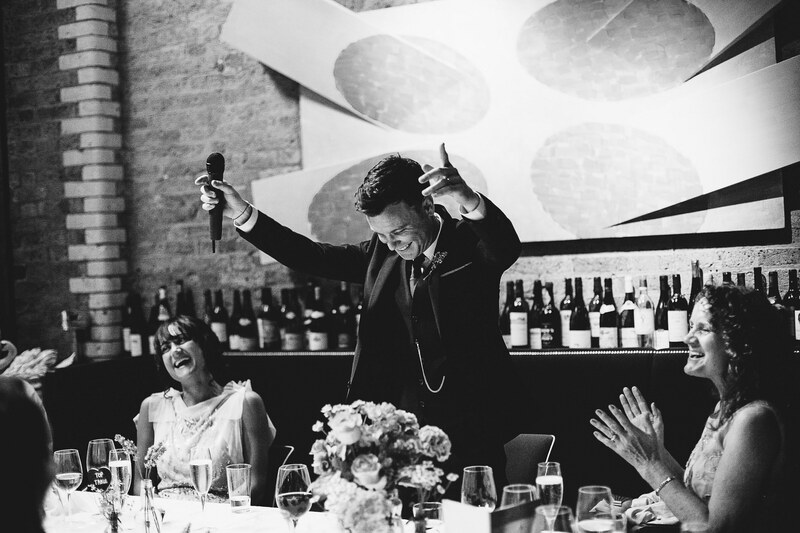 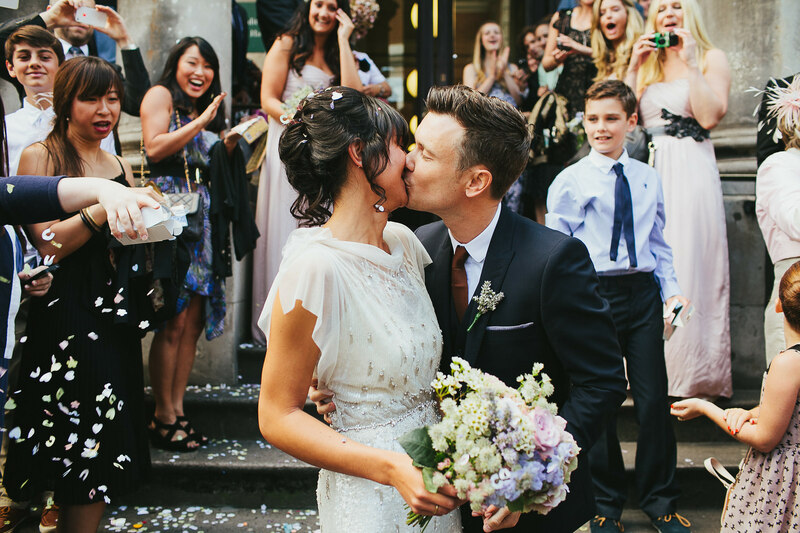 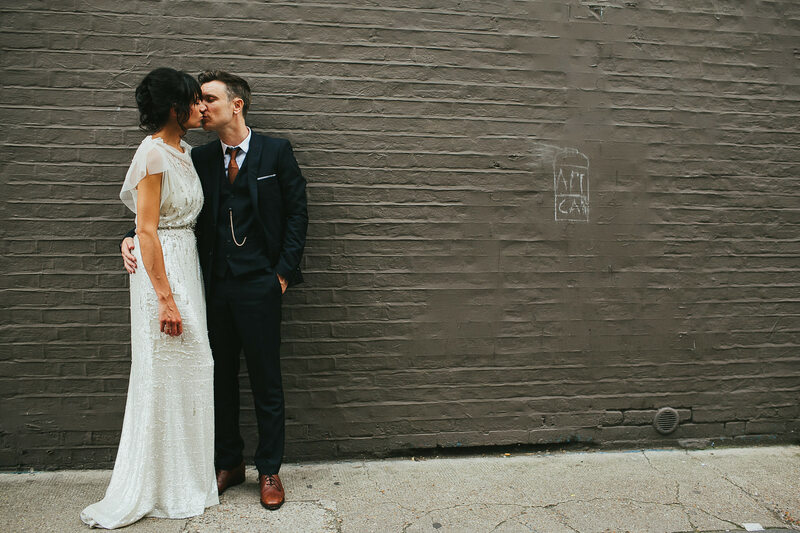 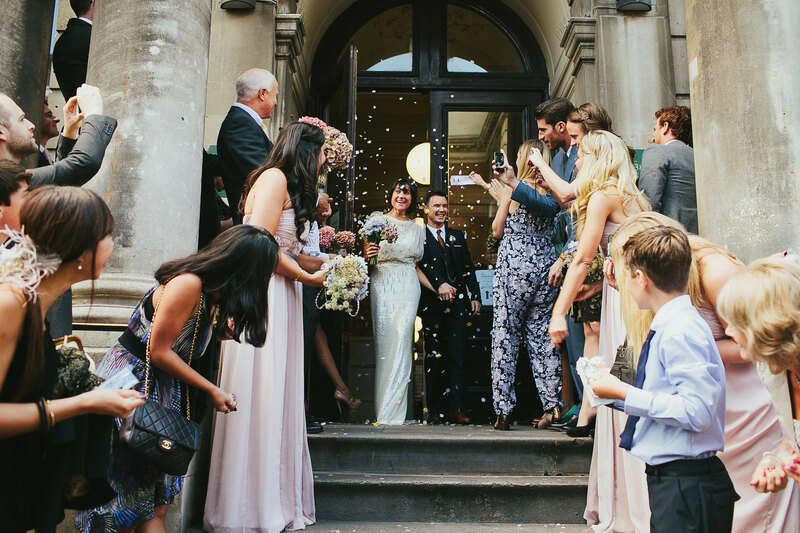 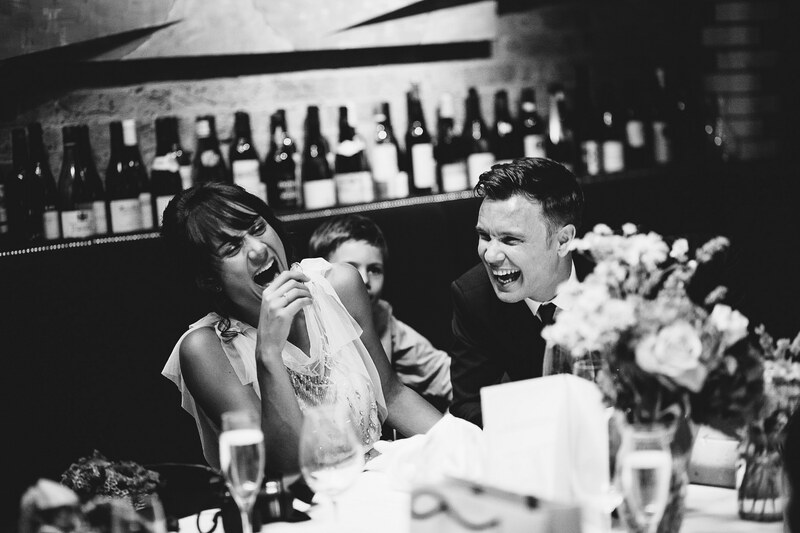 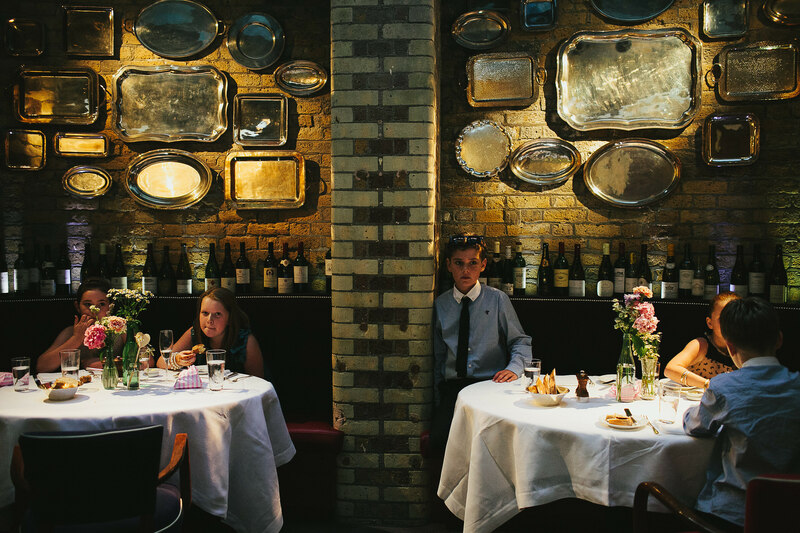 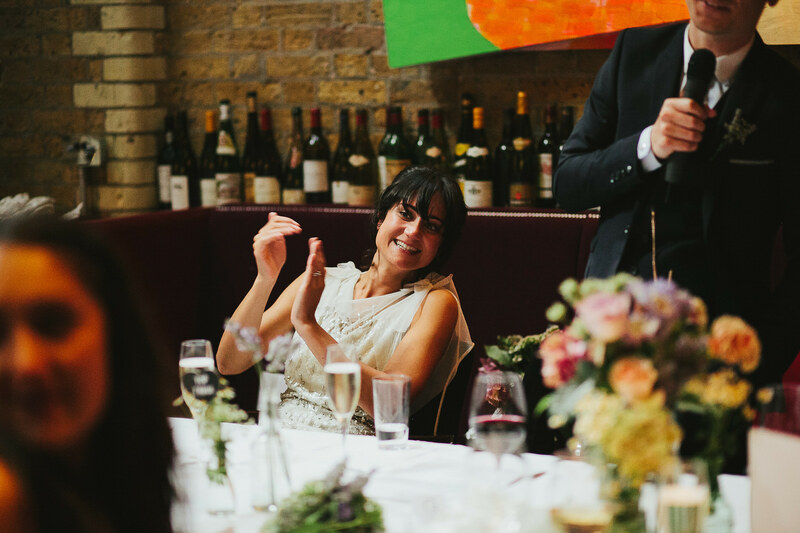 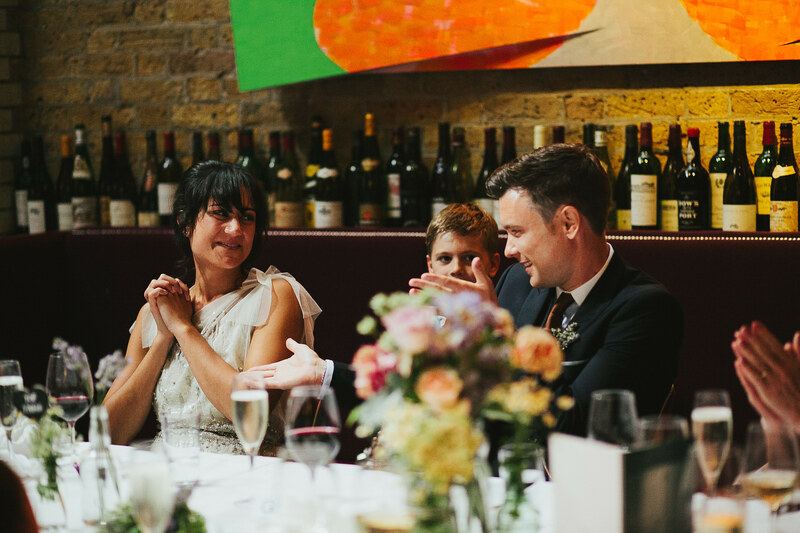 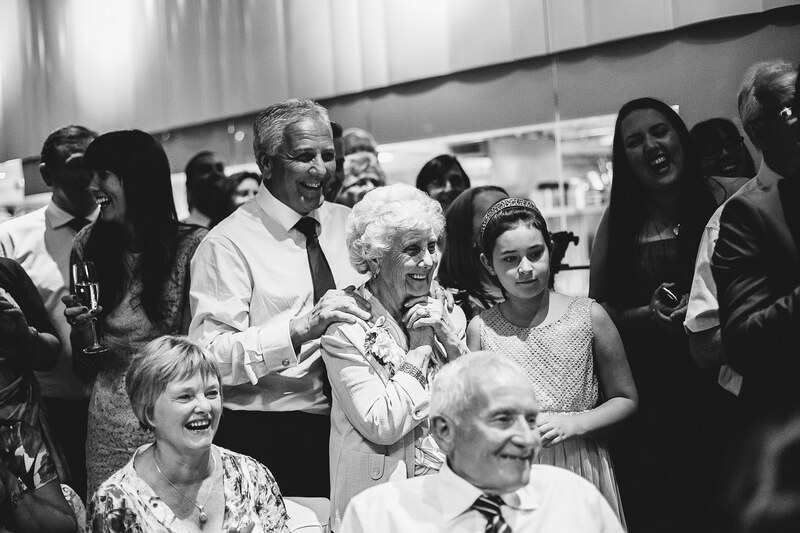 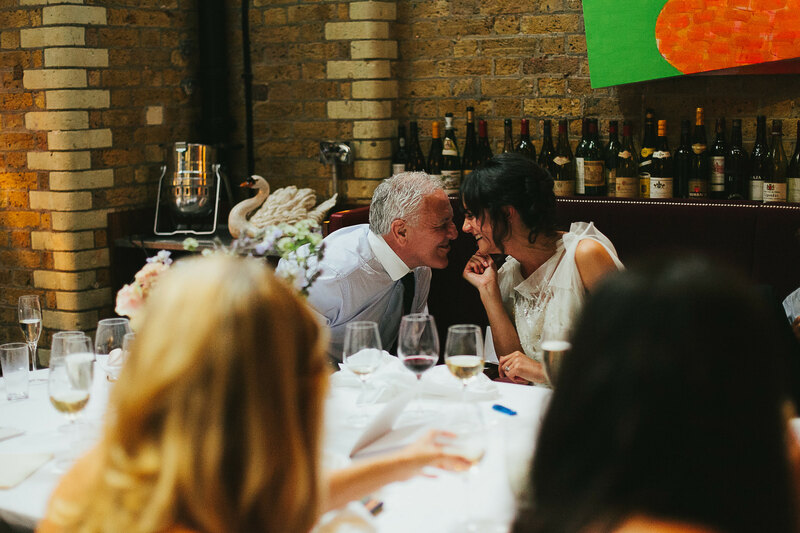 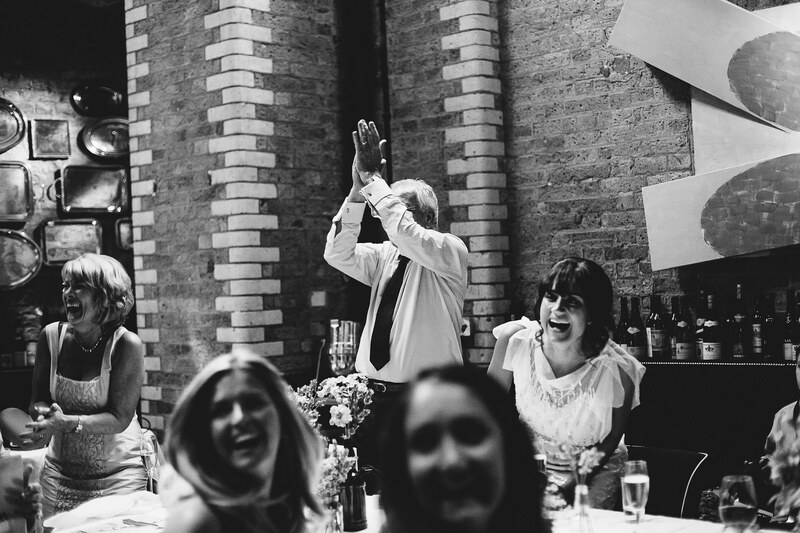 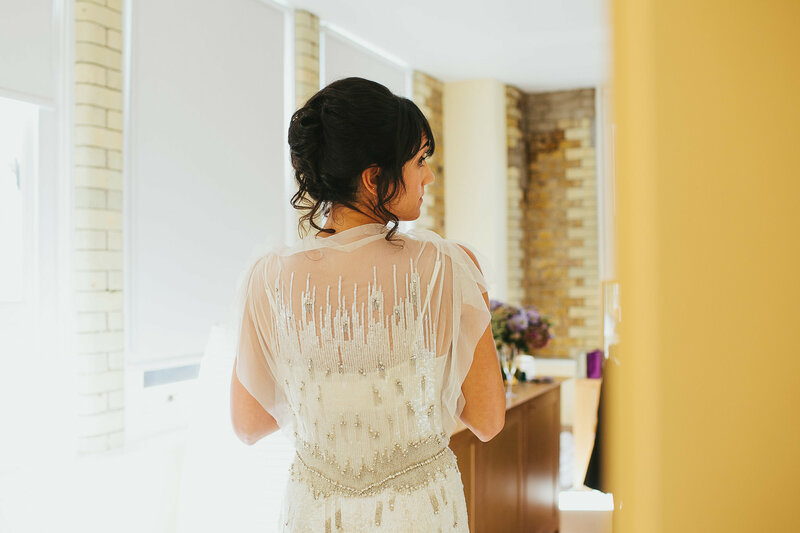 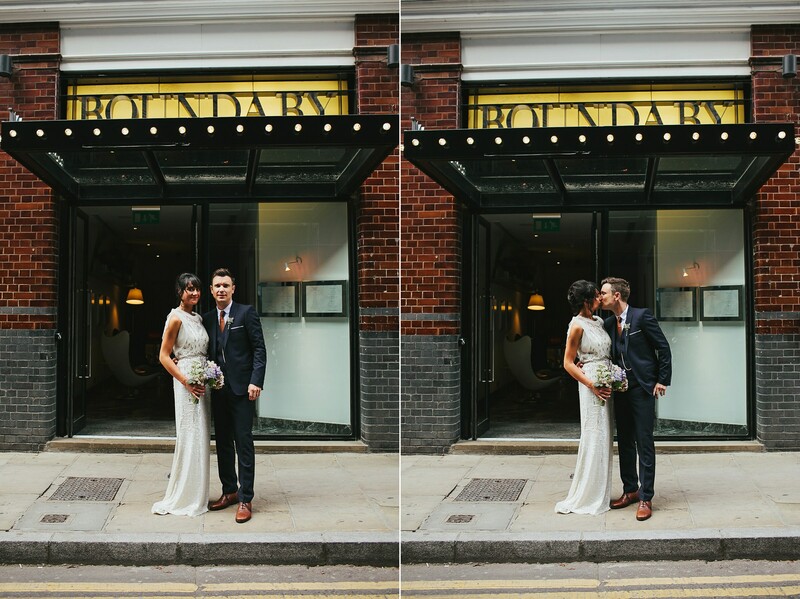 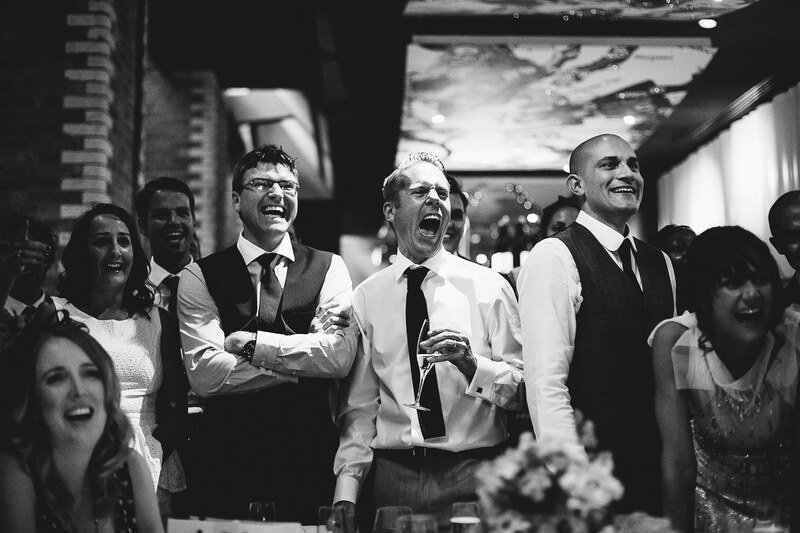 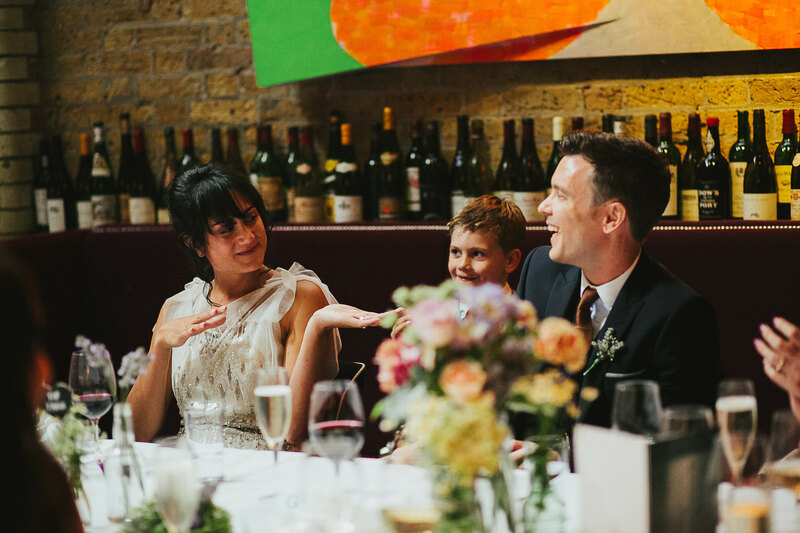 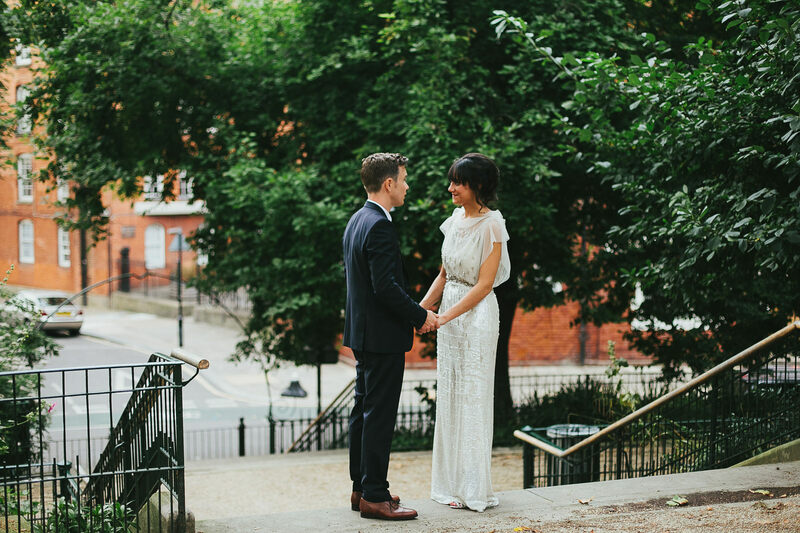 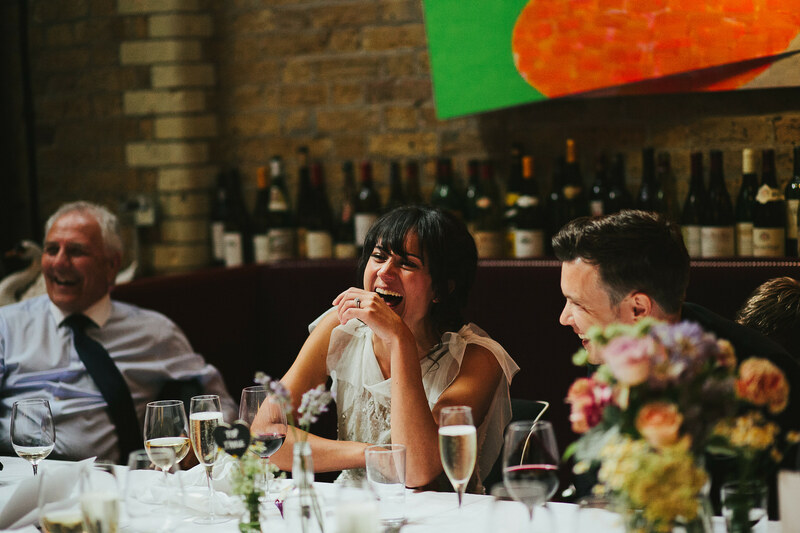 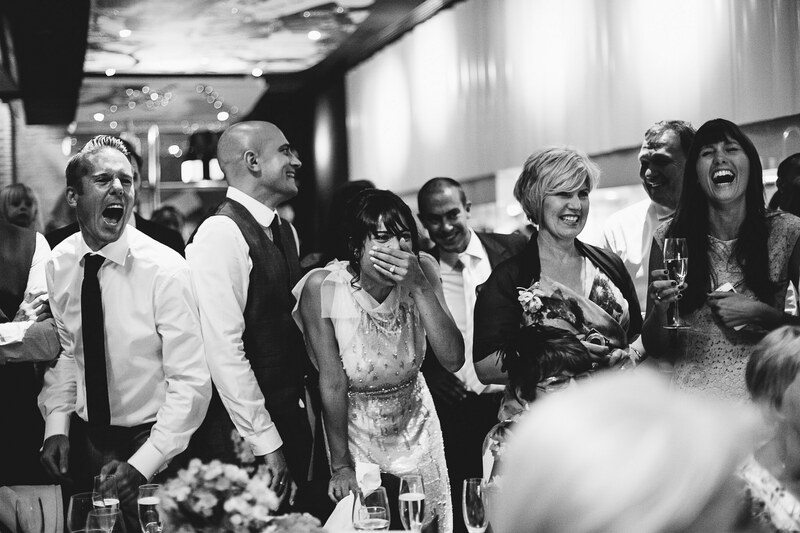 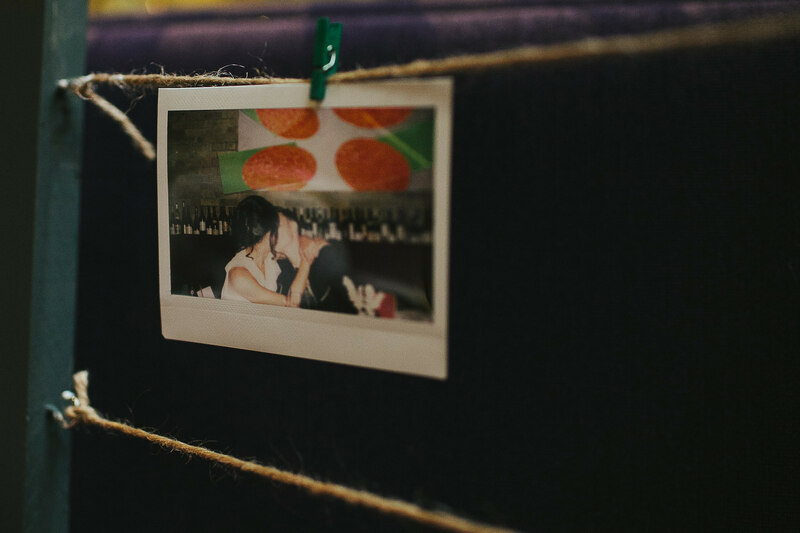 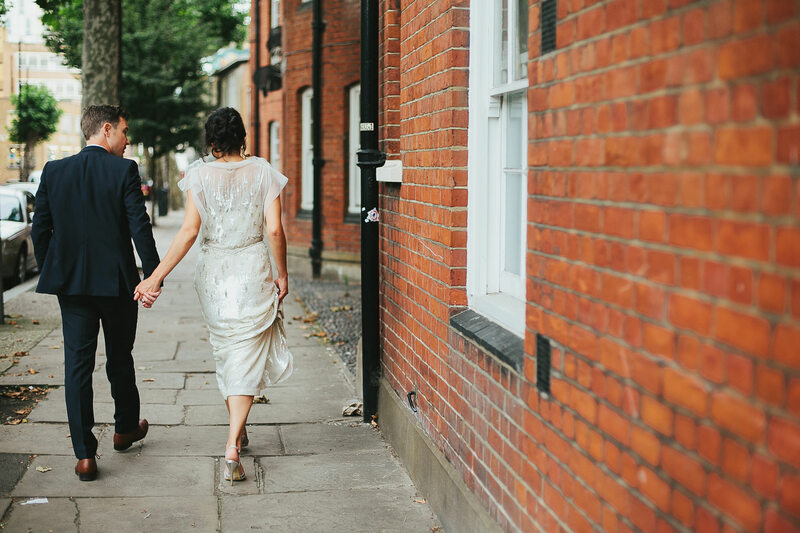 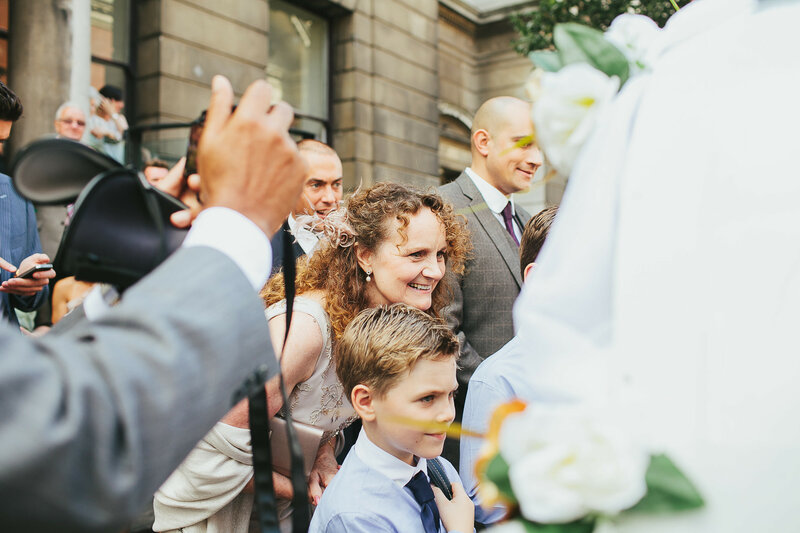 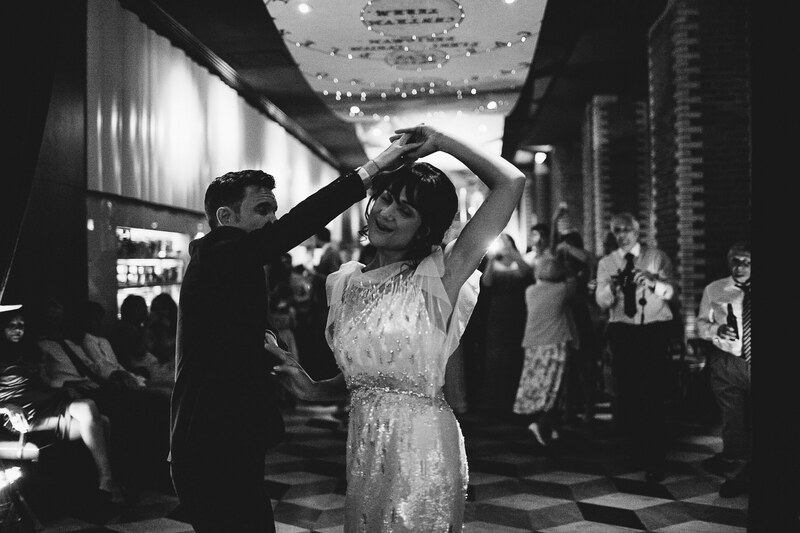 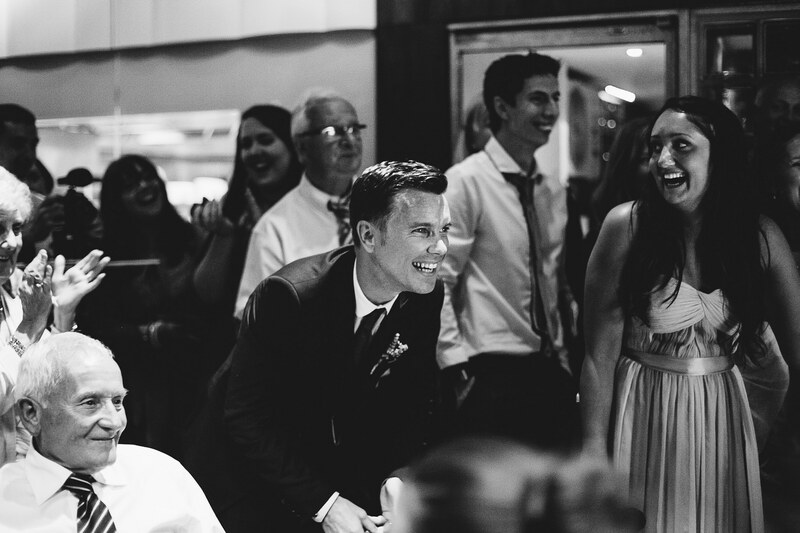 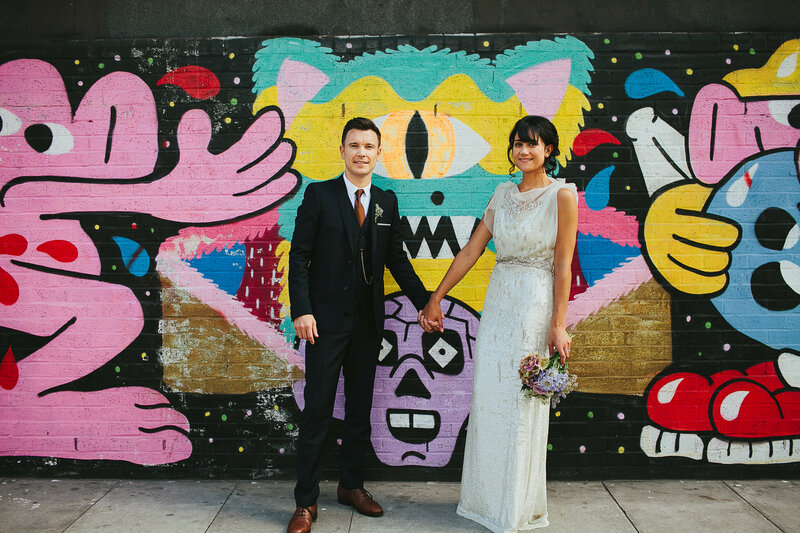 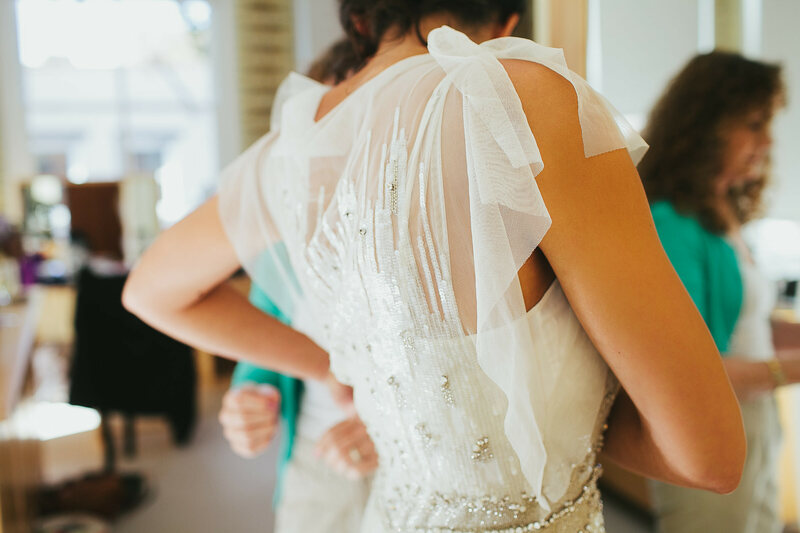 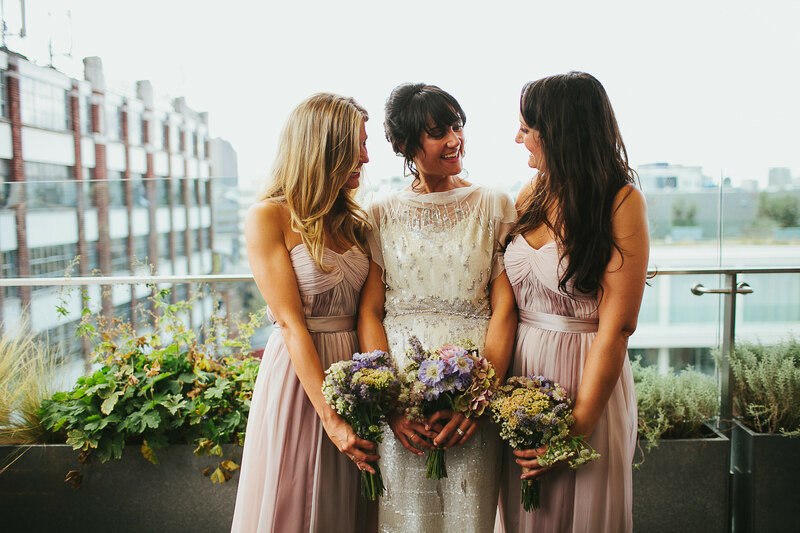 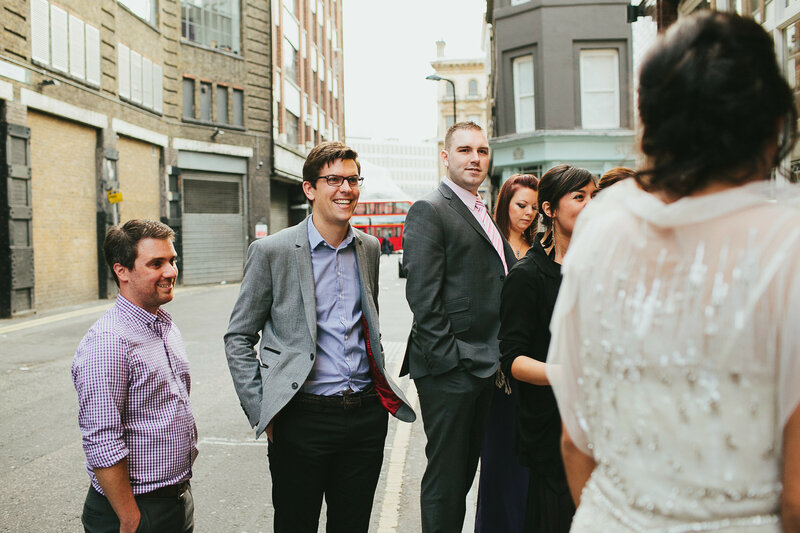 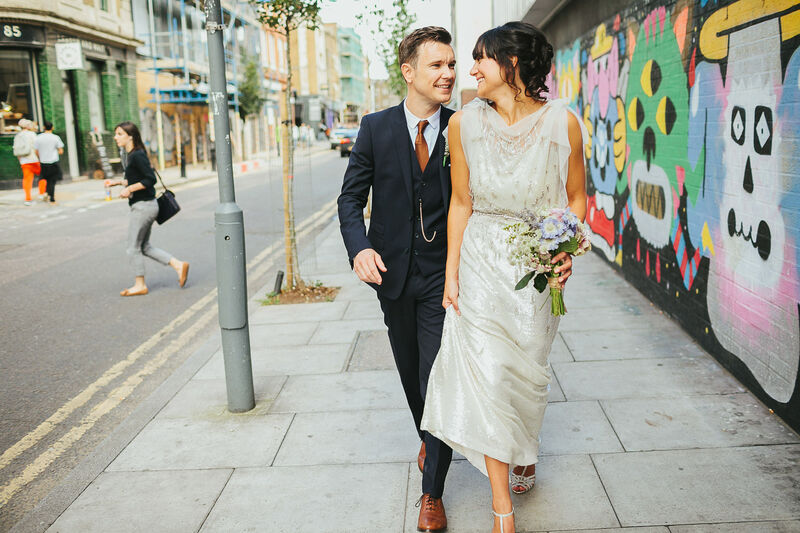 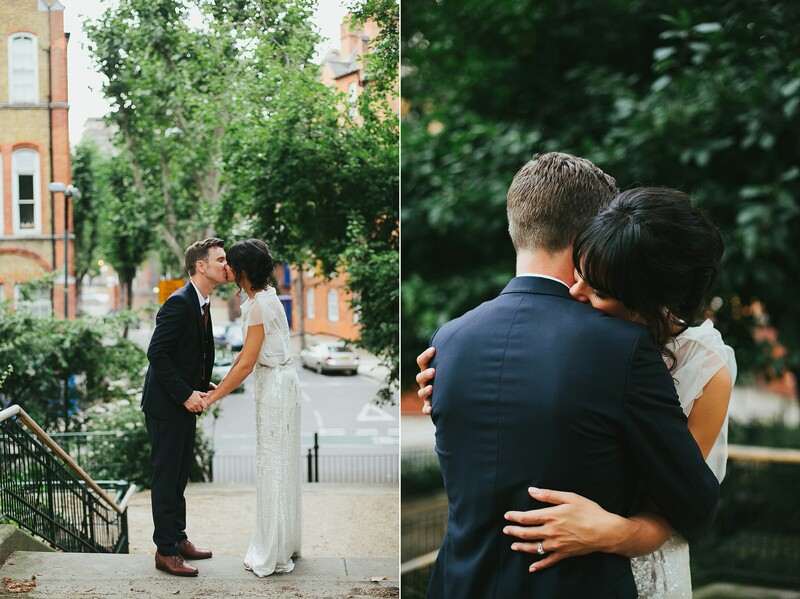 Maya & Adam planned a gorgeous Shoreditch wedding which was 100% them. 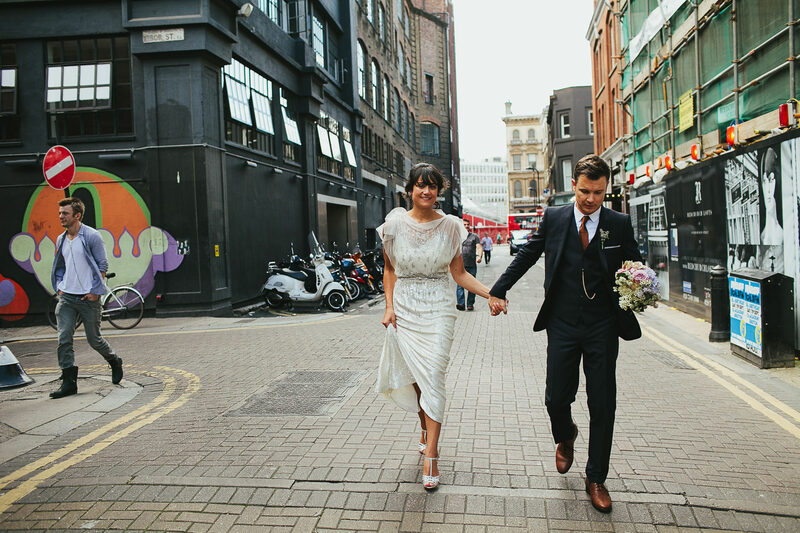 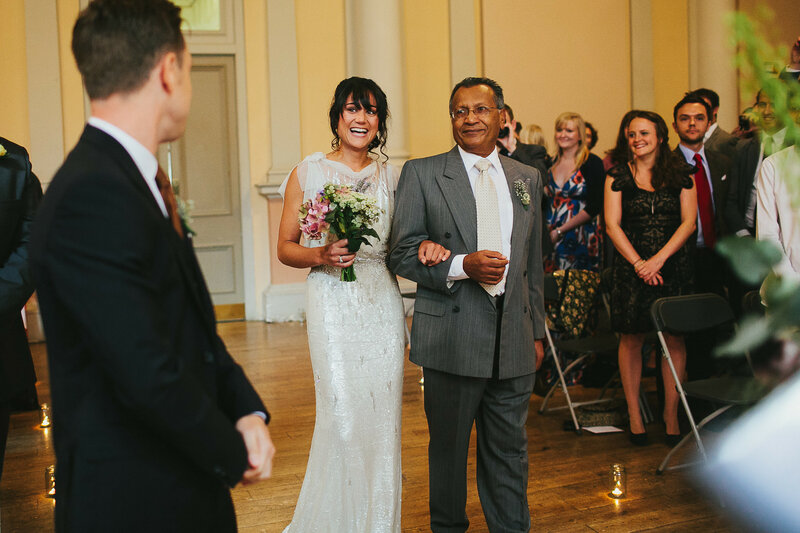 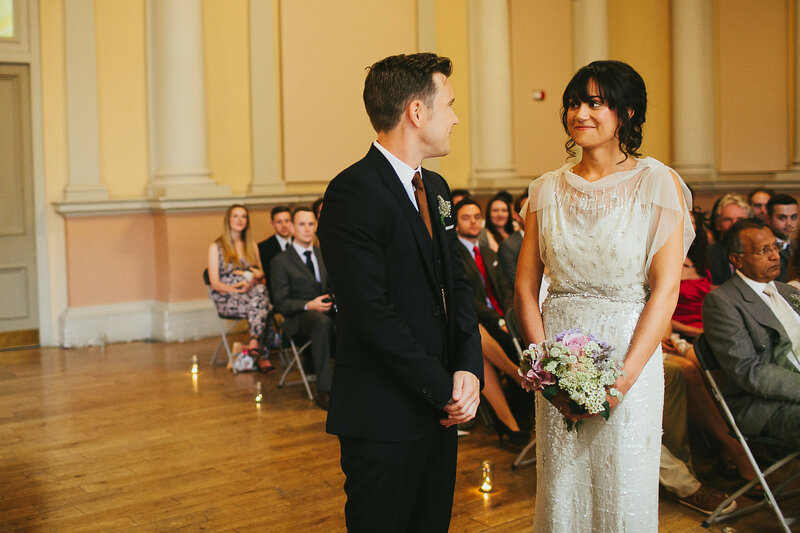 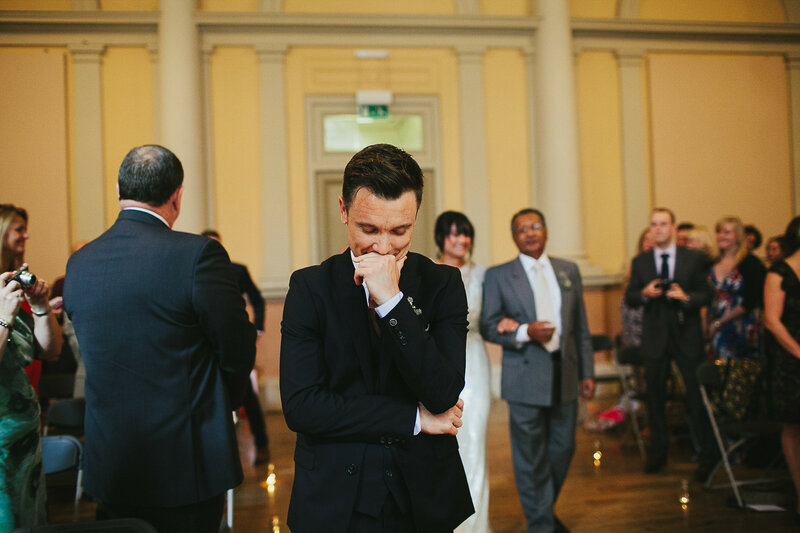 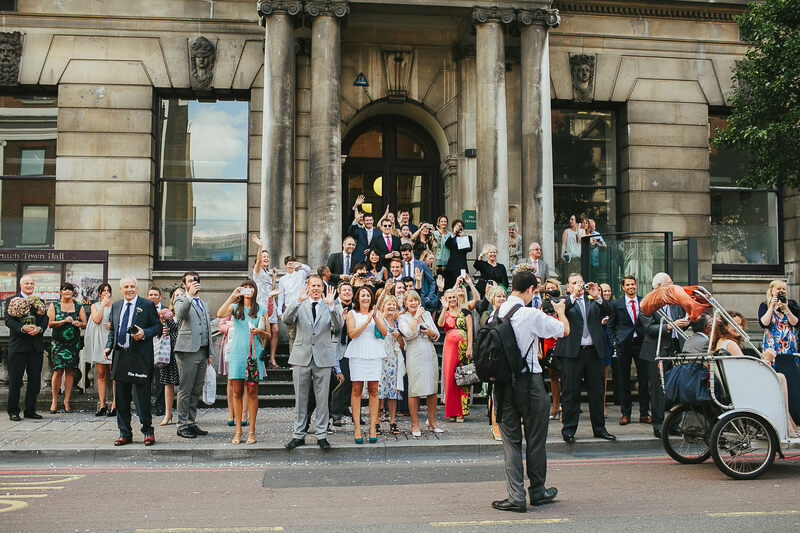 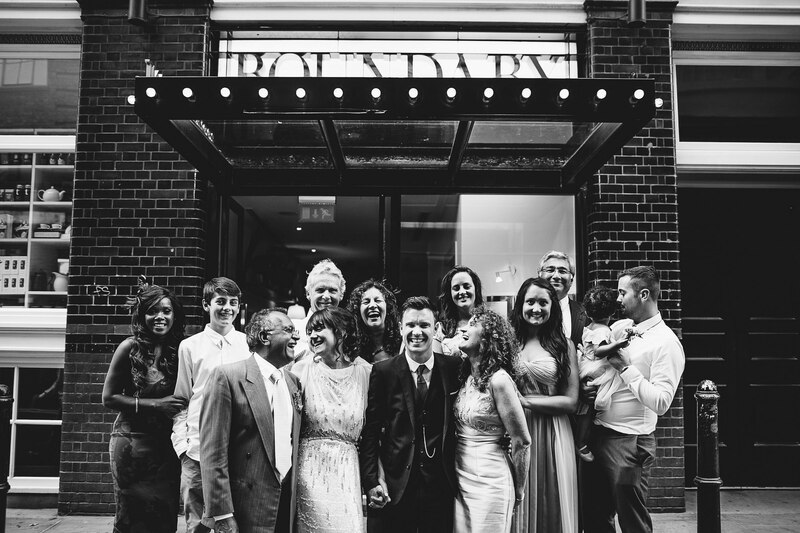 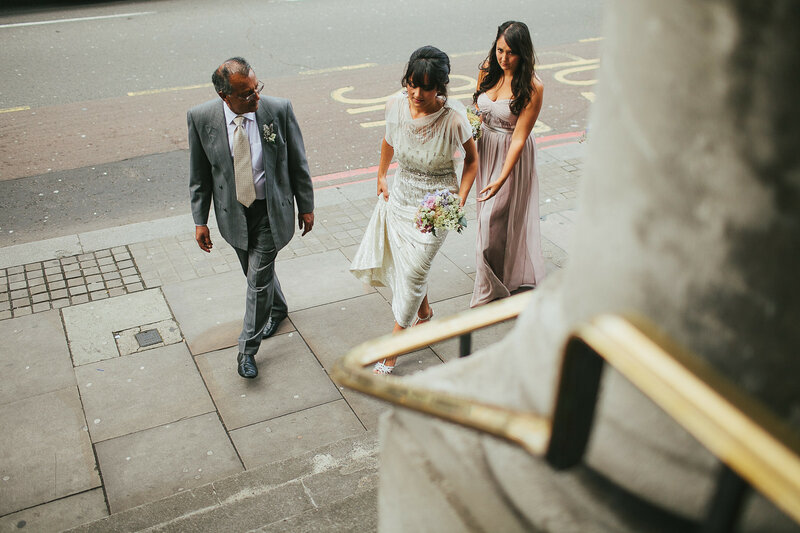 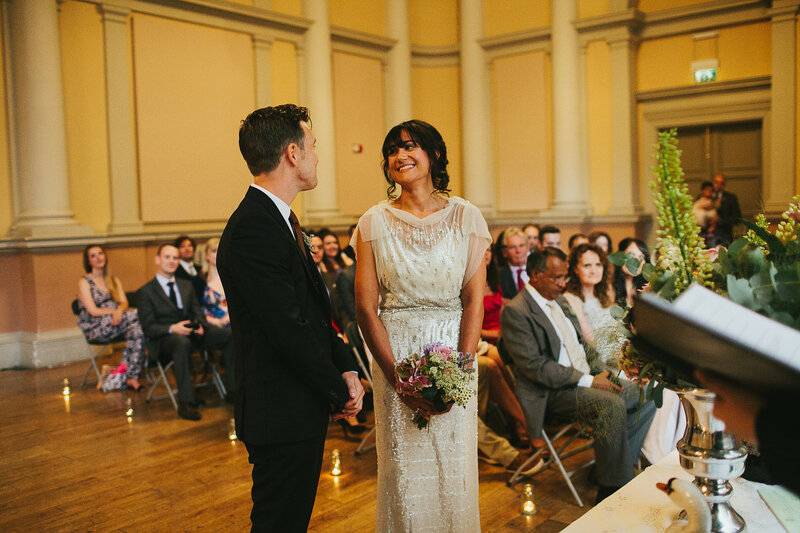 They were married on a Sunday in the beautiful Shoreditch Town Hall council chamber room. 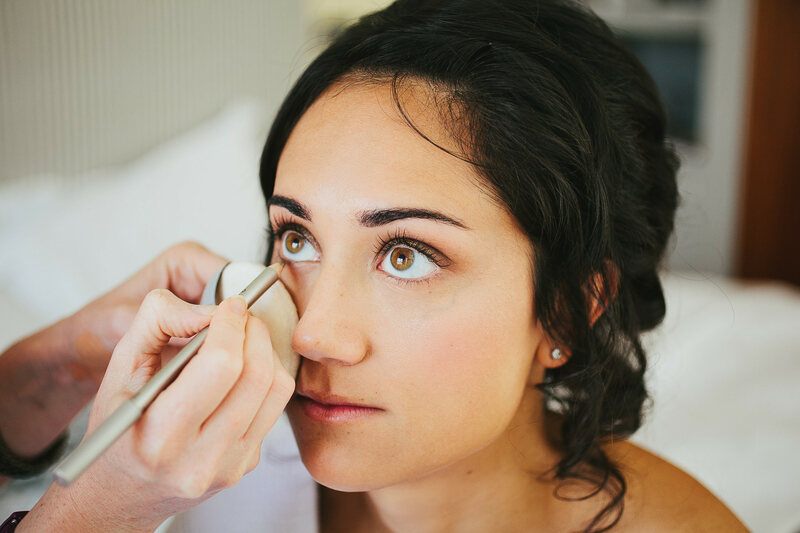 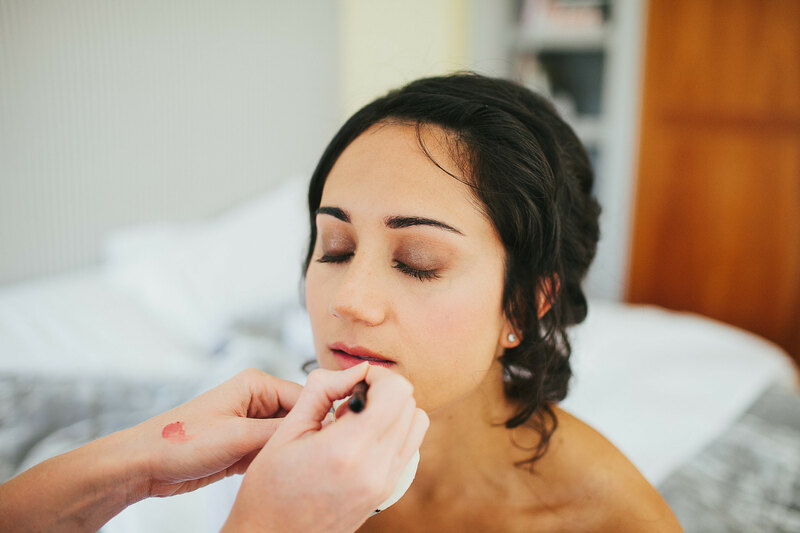 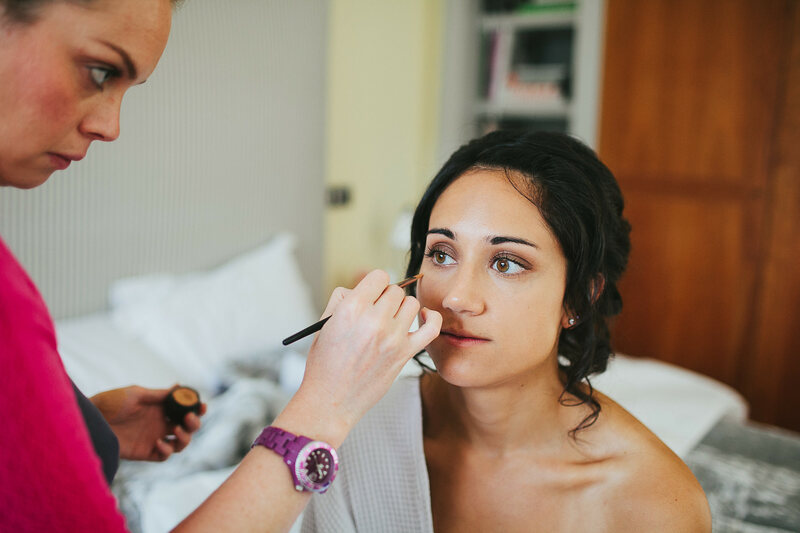 Maya got ready in the Boundary Hotel, with makeup by Laura Mercier. 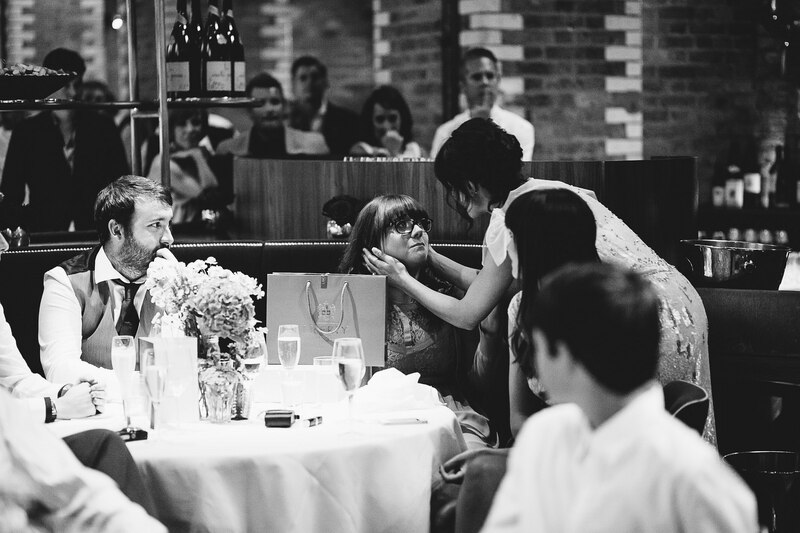 Her mother in law did her hair beautifully, and she wore a pair of diamond stud earrings borrowed from her as well. 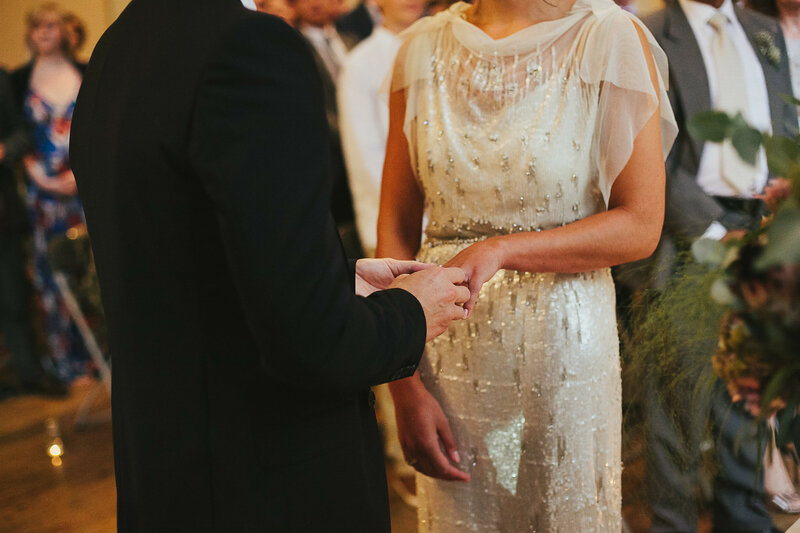 Her dress was ‘Bonnie’ by Jenny Packham, a stunning floor length dress covered in sequins, also worn in blush by Duchess Kate. 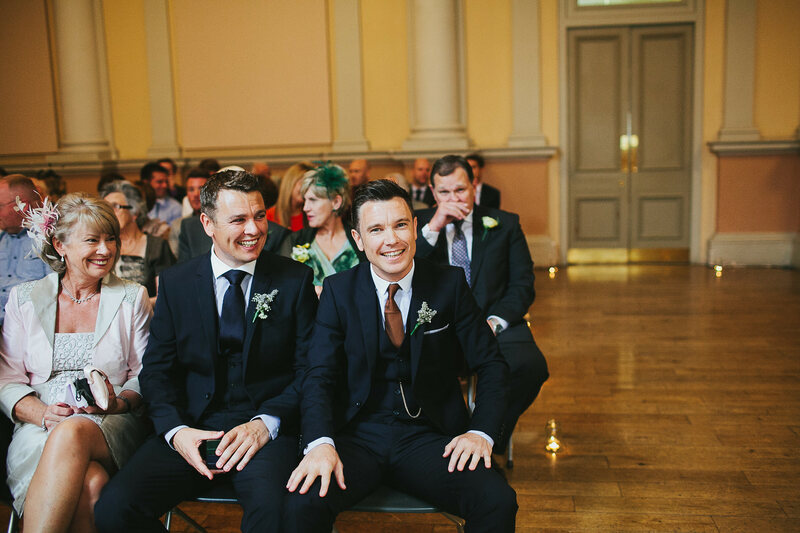 Adam wore a very dapper navy suit and waistcoat from the Kooples with a brown tie and brogues. 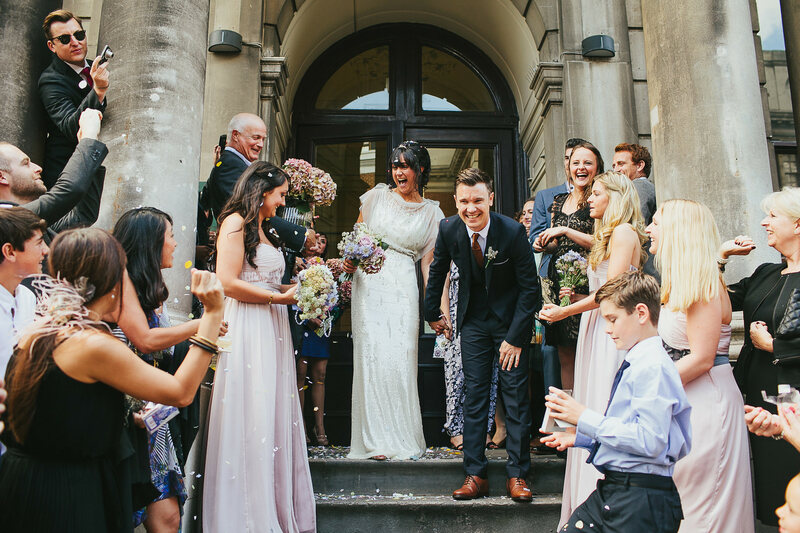 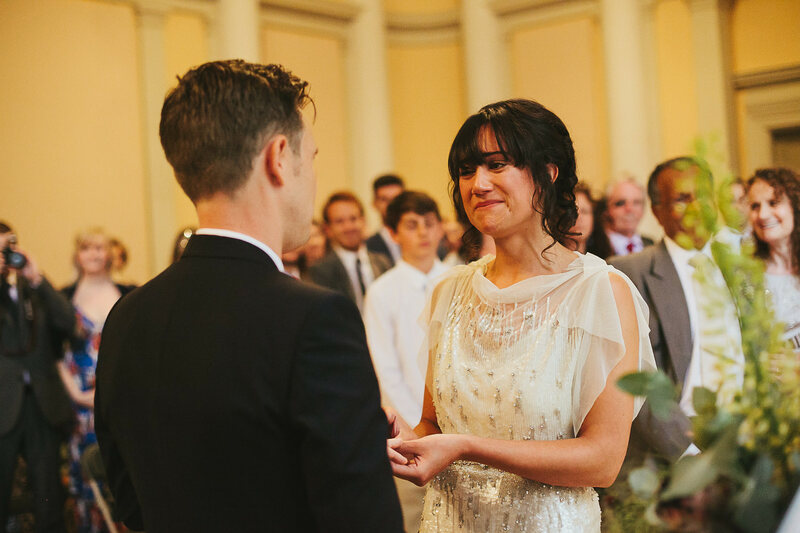 They had an emotional candlelit ceremony, followed by confetti on the steps. 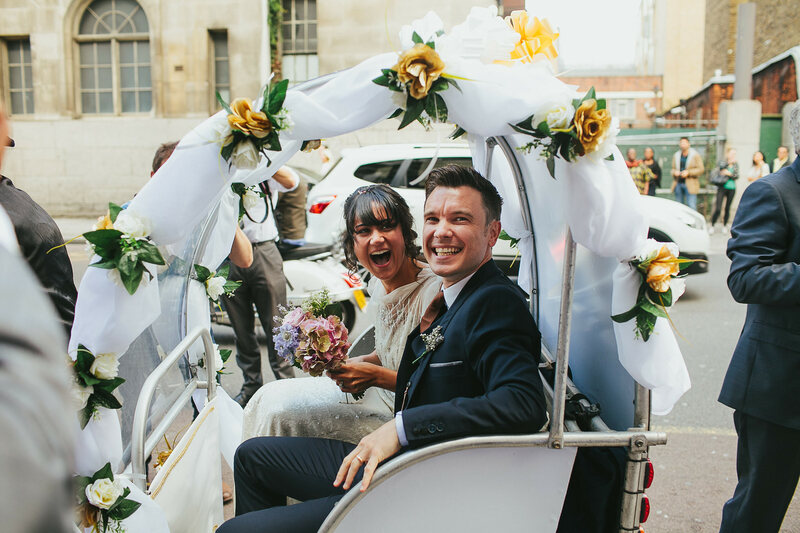 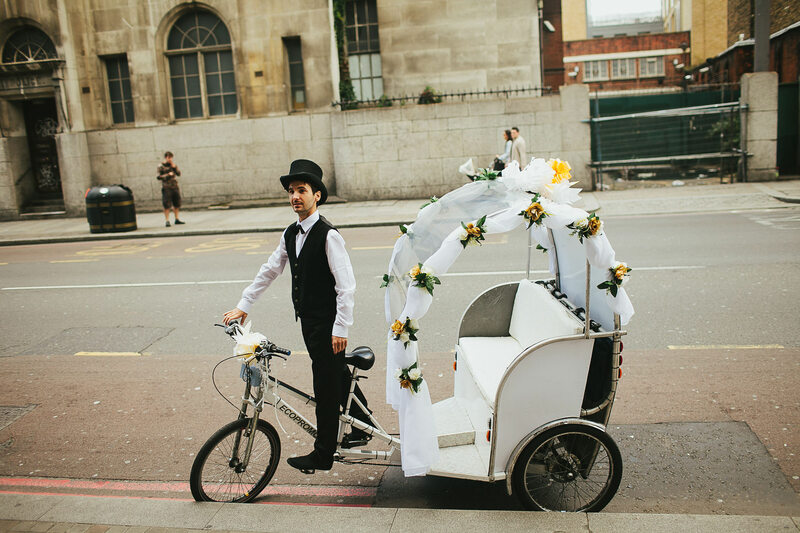 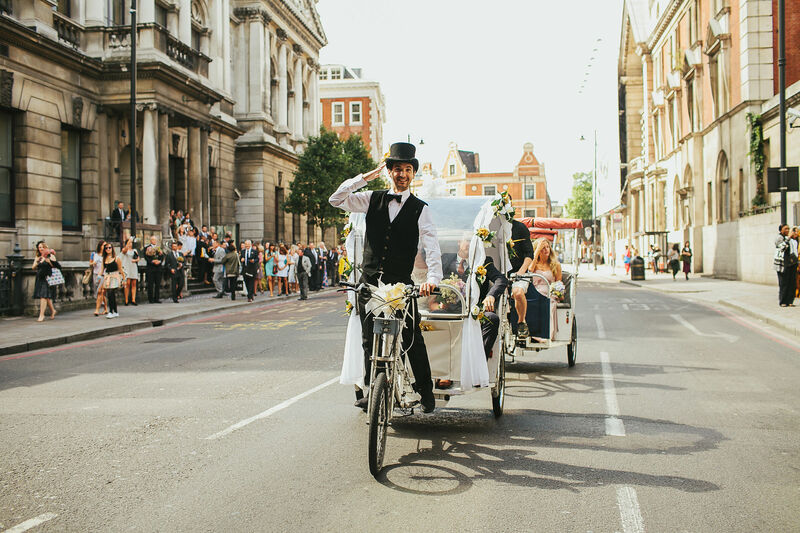 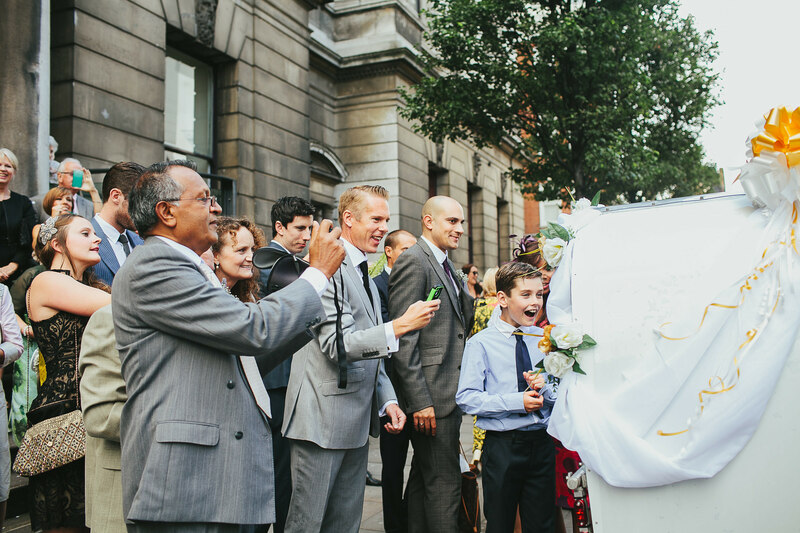 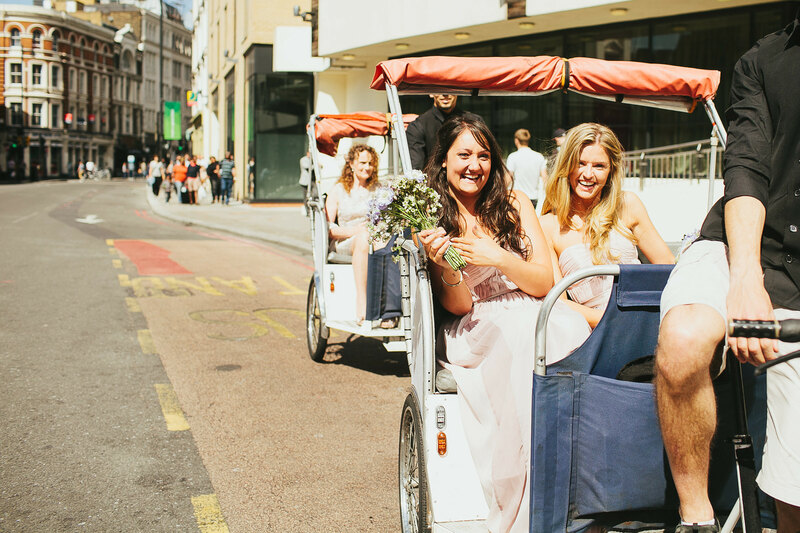 Maya’s father surprised them with rickshaws decorated in flowers for the journey to The Boundary Hotel for the reception – such a fun journey with passers by waving as they went by! 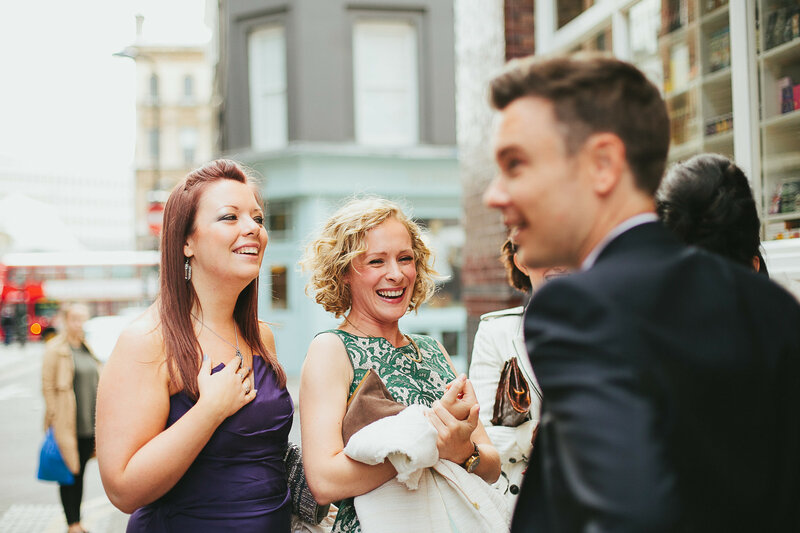 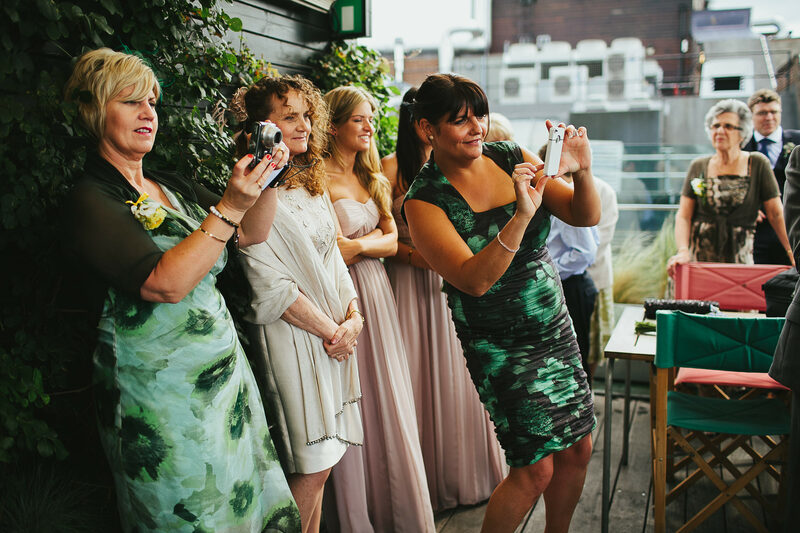 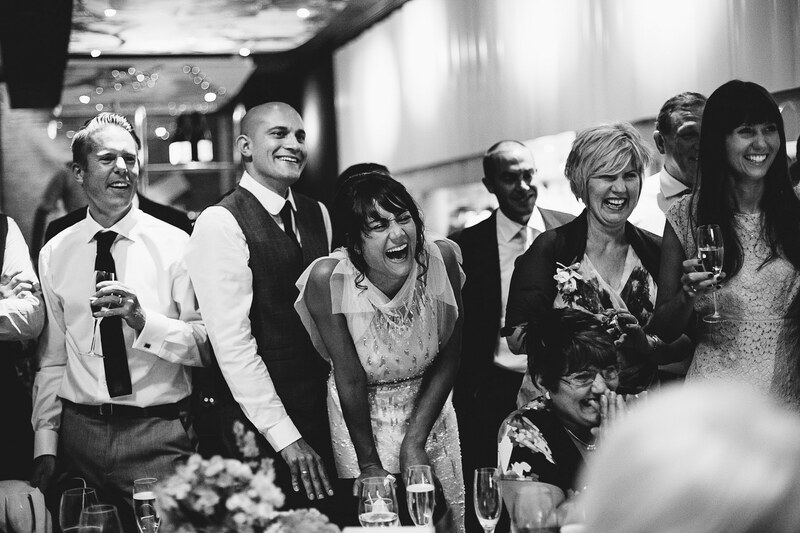 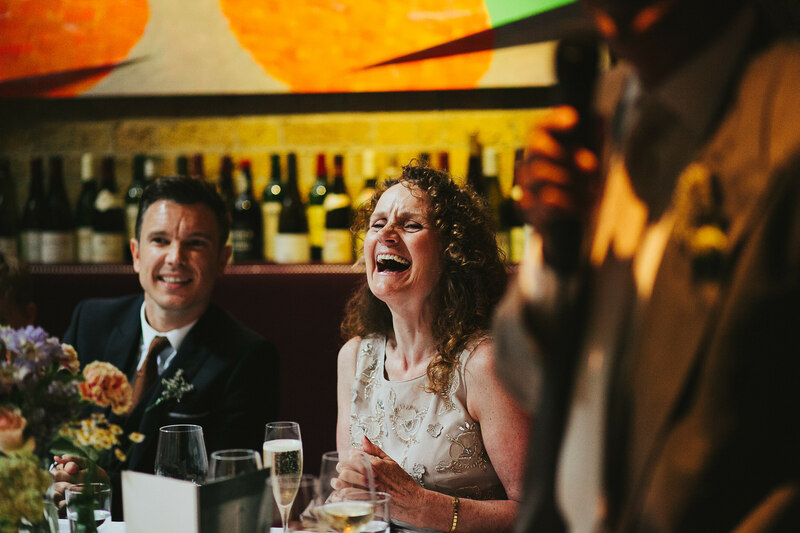 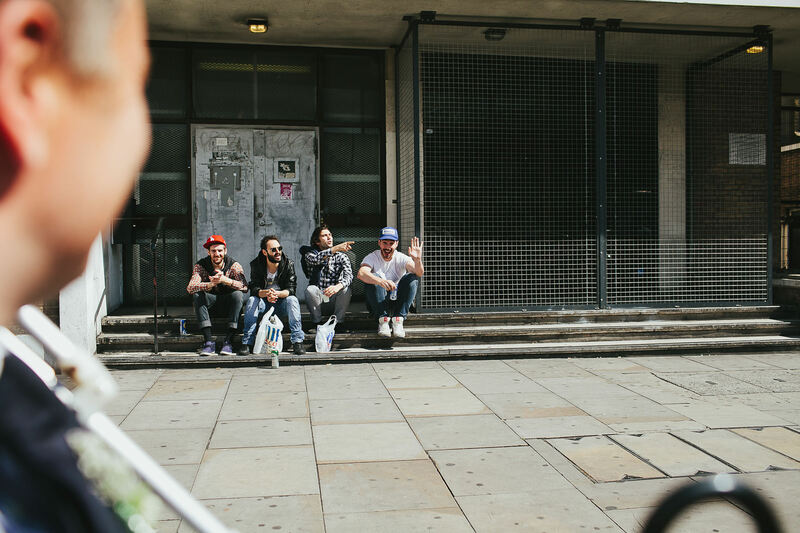 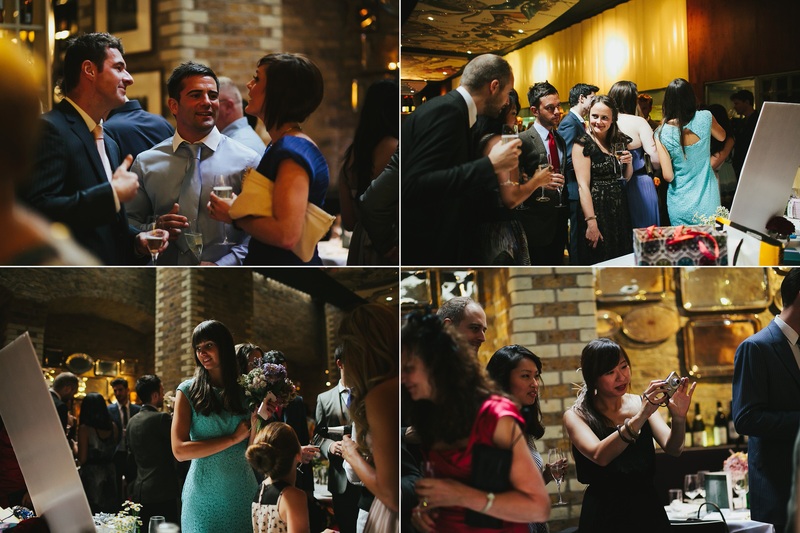 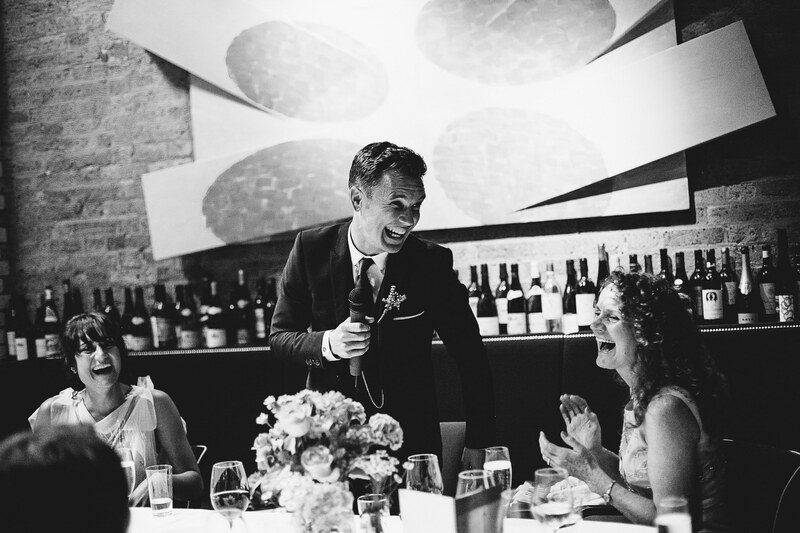 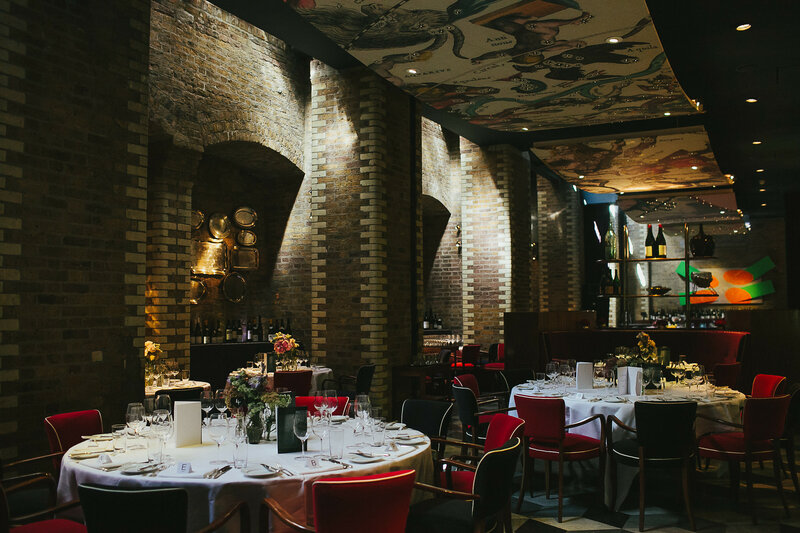 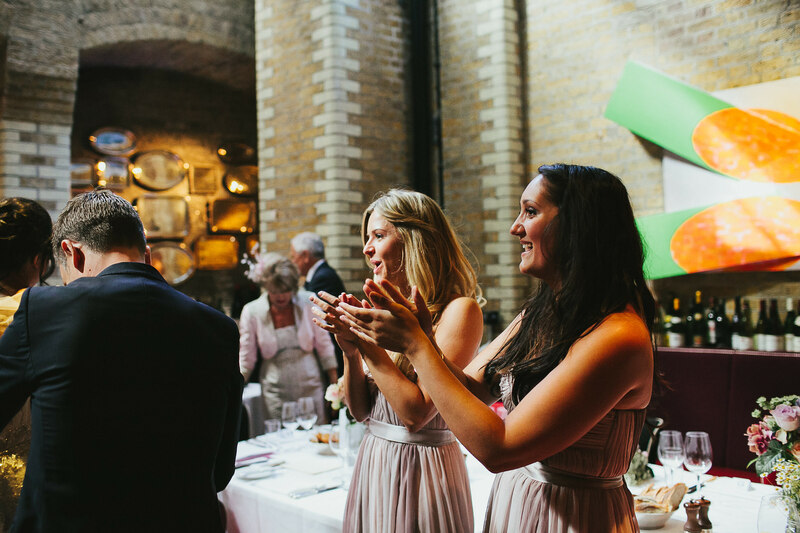 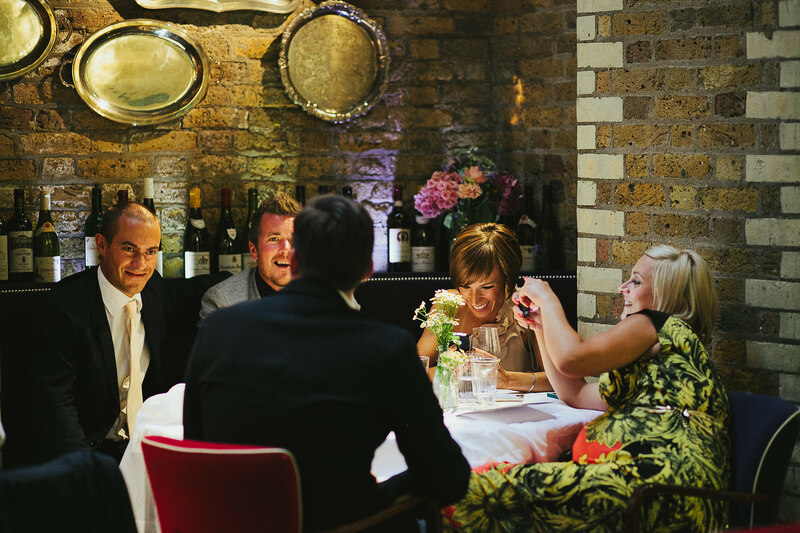 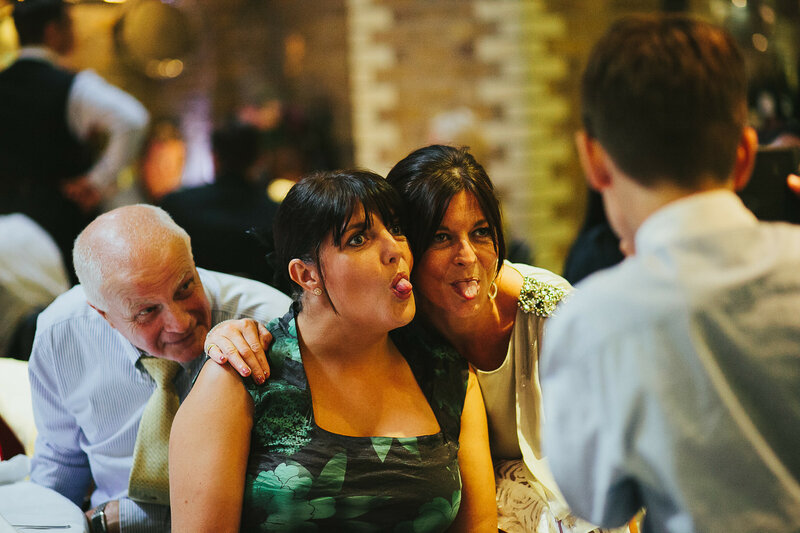 The reception was held in the basement restaurant at the Boundary, with group photos up on the roof terrace and portraits outside in the streets of Shoreditch. 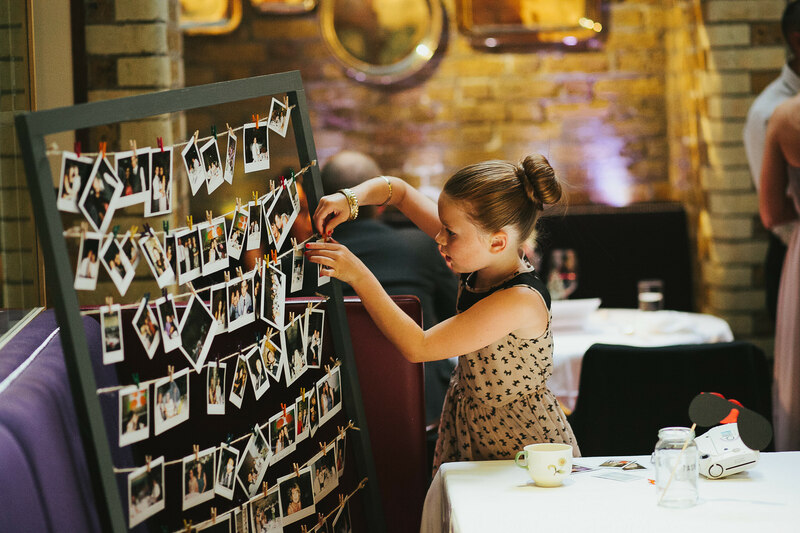 The tables were decorated with glass jars of country garden flowers from Covent Garden Flower Market, a table plan decorated with butterflies, a sweet table, and several polaroid cameras for guests to leave messages with photos on a washing line picture frame. 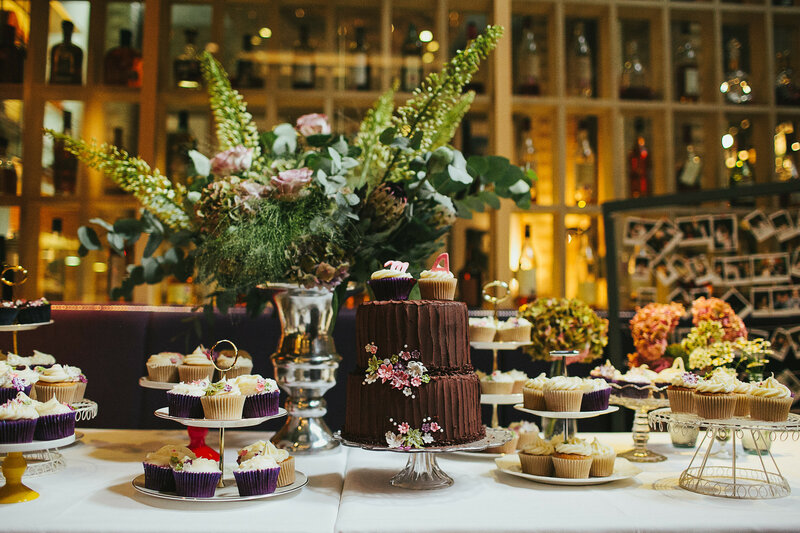 Their very talented friend made cakes for the pretty cake table. 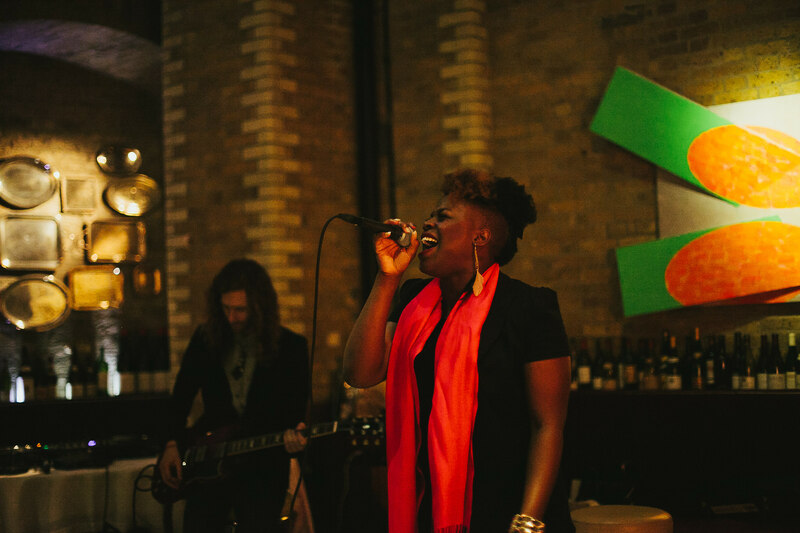 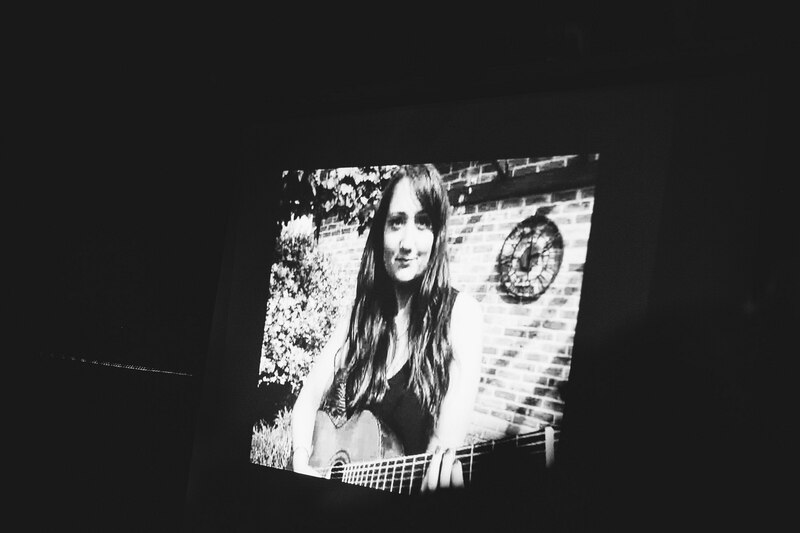 In the evening they had the Wedding Smashers as DJs and ShezAr (Labrinth’s sister) sang – she has has the most incredible voice! 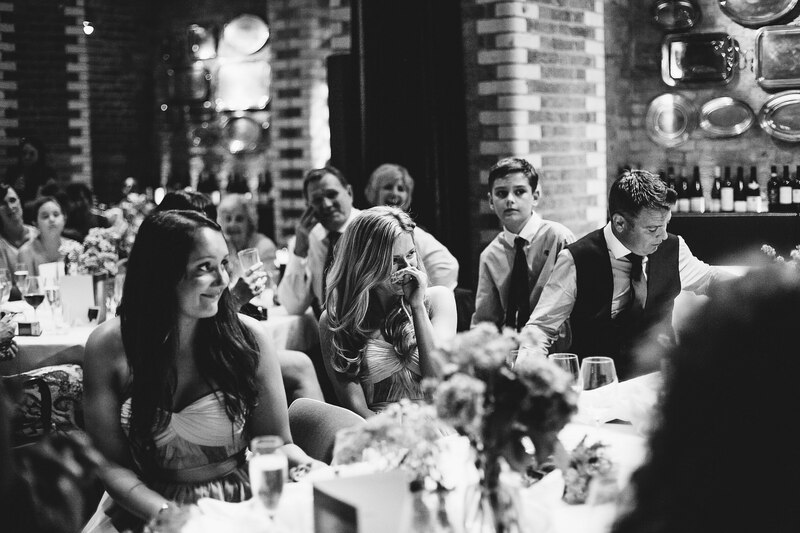 What a fantastic wedding, brilliant coverage Tarah.